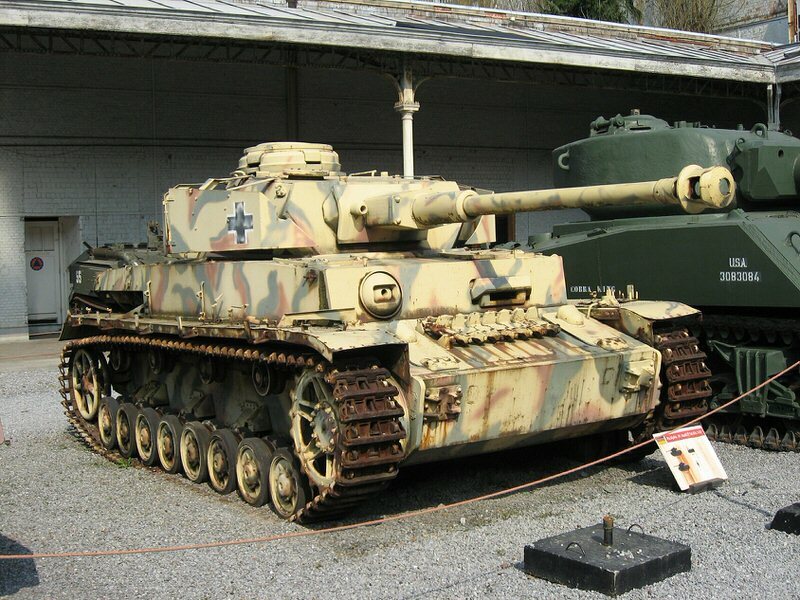 changes with respect to the description below. A library with a total of 450 000 volumes is open to the public. 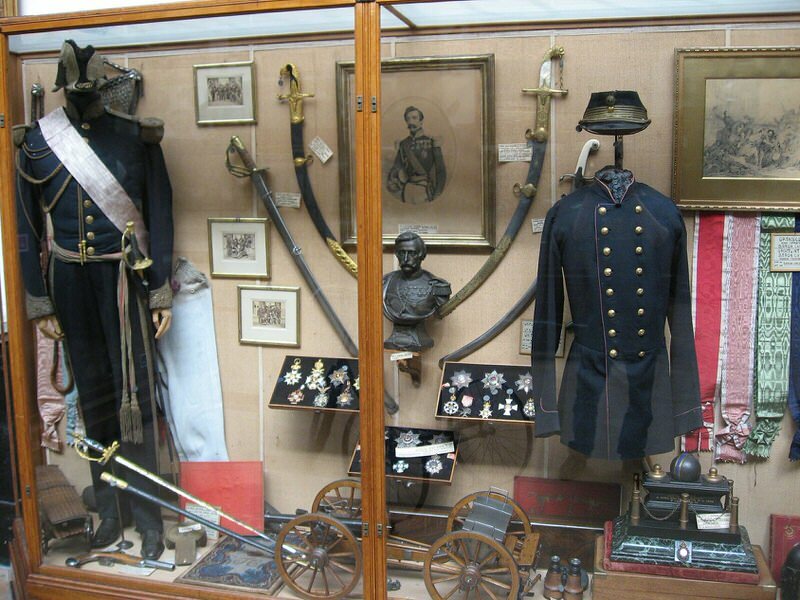 Salle d’armes et d’armure — A splendid display of 11C- 18C weapons and late 15C-17C amour of the Archduke Albert (worn during his “Joyous Entrance” in July 1599) and his horse which he had stuffed after it saved him during the siege of Ostend, together with his wife’s,the Archduchess Isabel: an astonishing child’s suit of armor (16C) which belonged to Joseph-Ferdinand of Bavaria, the son of the Governor of the Netherlands. 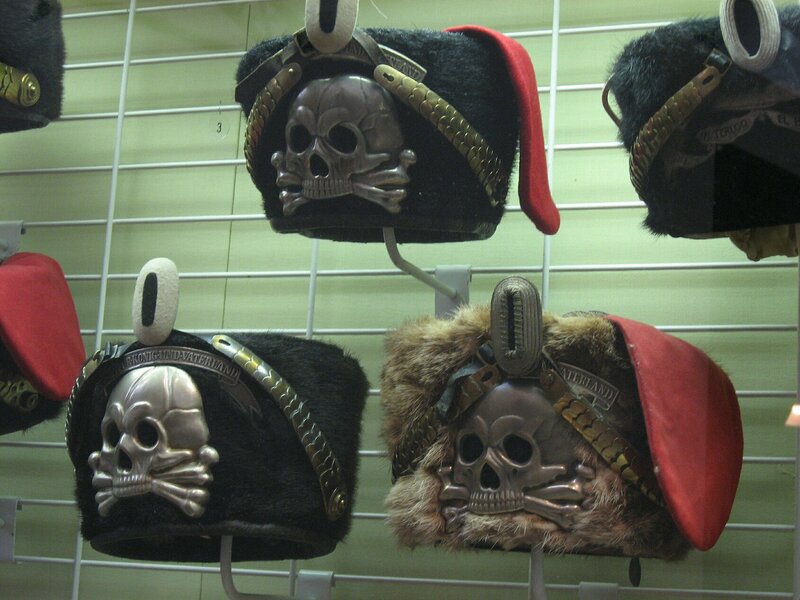 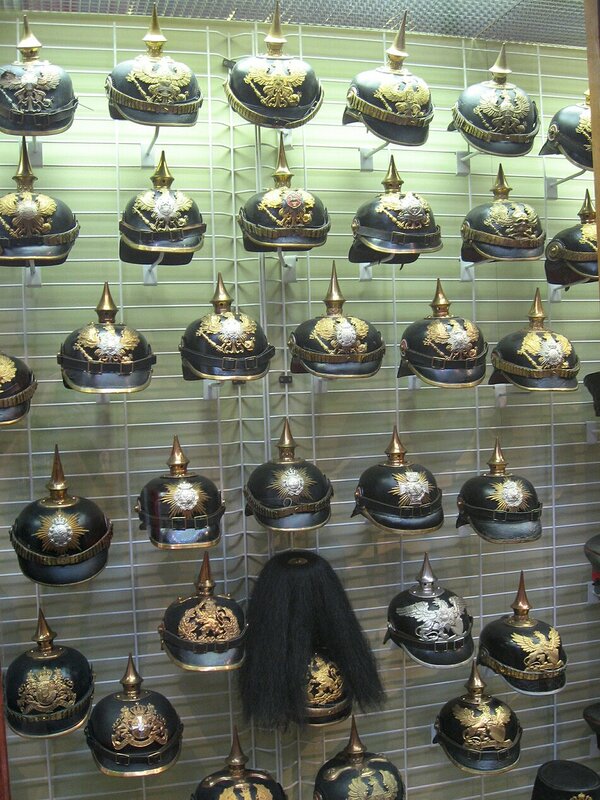 Collection Titeca et Ribaucourt — Housed under the quadriga of the archways in a long room resembling a vaulted cellar, this varied collection consists of some 300 items of military headgear (pre-Revolutionary France. 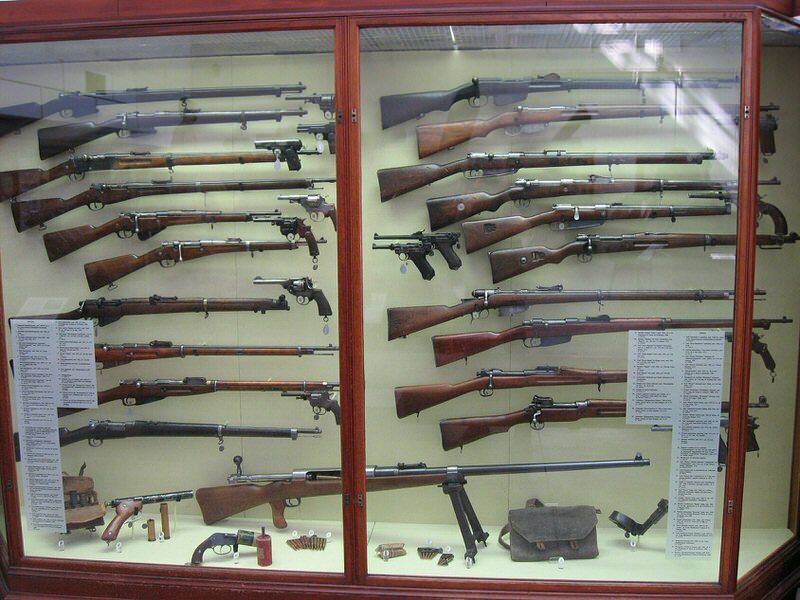 England, Germany, Russia, Belgium, French First Empire, Second Empire and Restoration), 600 sabers and swords, as well as First Empire uniforms and musical instruments. 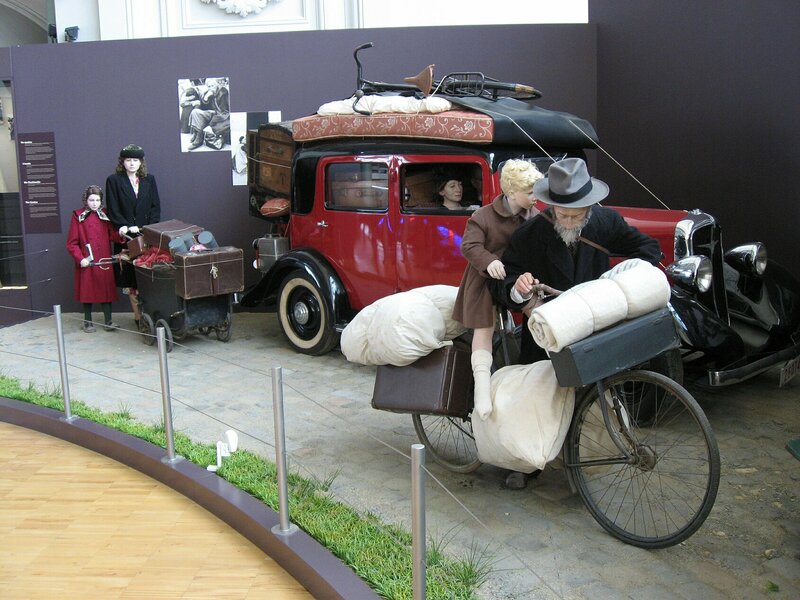 The two terraces afford magnificent panoramic view of the capital and the trunk road created by Leopold II , the avenue de Tervuren. Salle de la Révolution brabançonne et de I’Empire (1750-1815) — Two sections, or more precisely two small displays, are devoted to the two eventful periods which preceded independence. 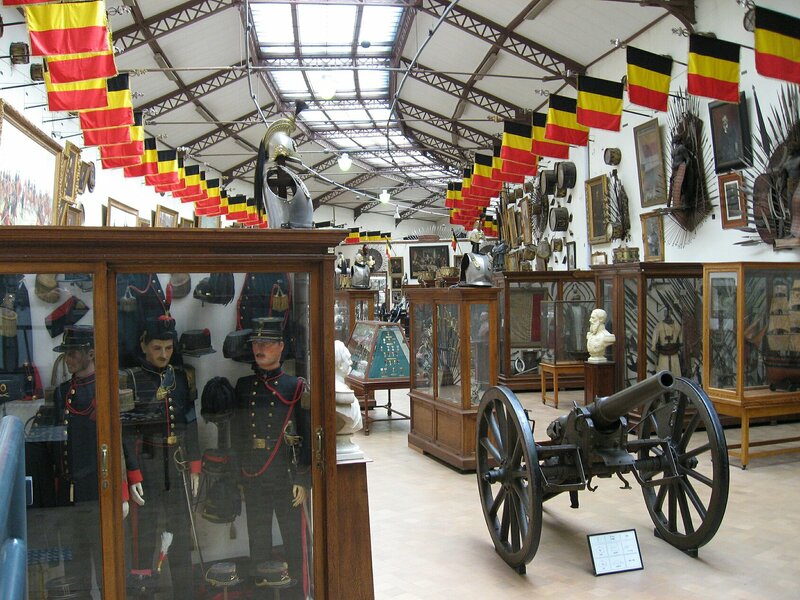 Numerous paintings (mid-19C) by Jules van Imschoot commemorate the episode of the Belgian “United States” Army. 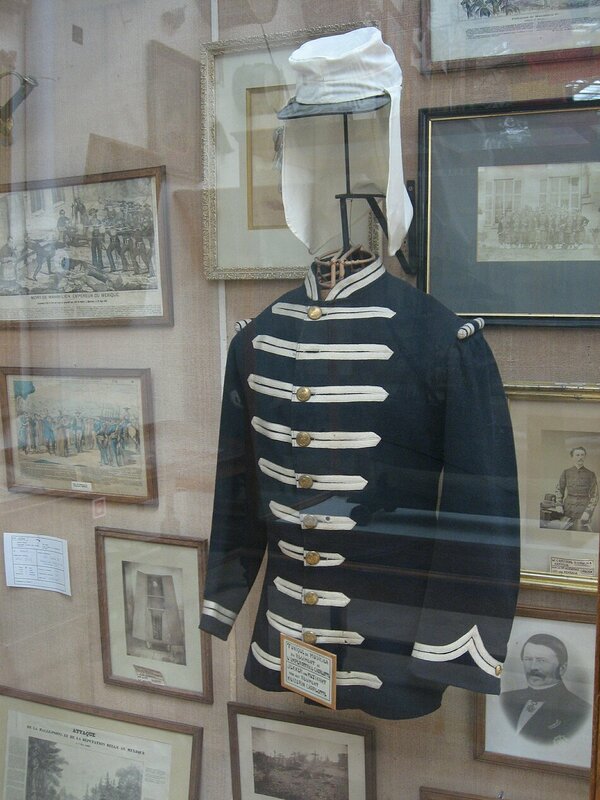 Opposite, various souvenirs evoke the French period, particularly the Battle of Waterloo. 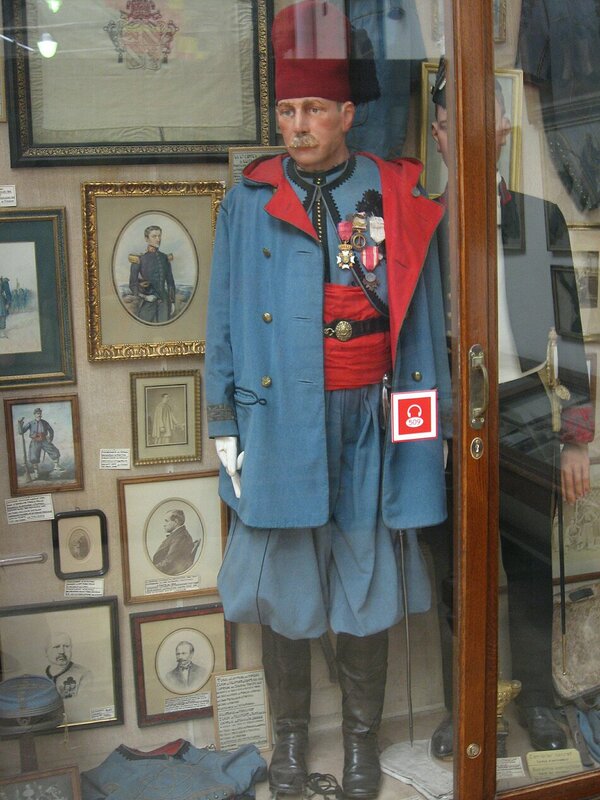 A portrait of Napoleon is attributed to Jacques-Louis David. 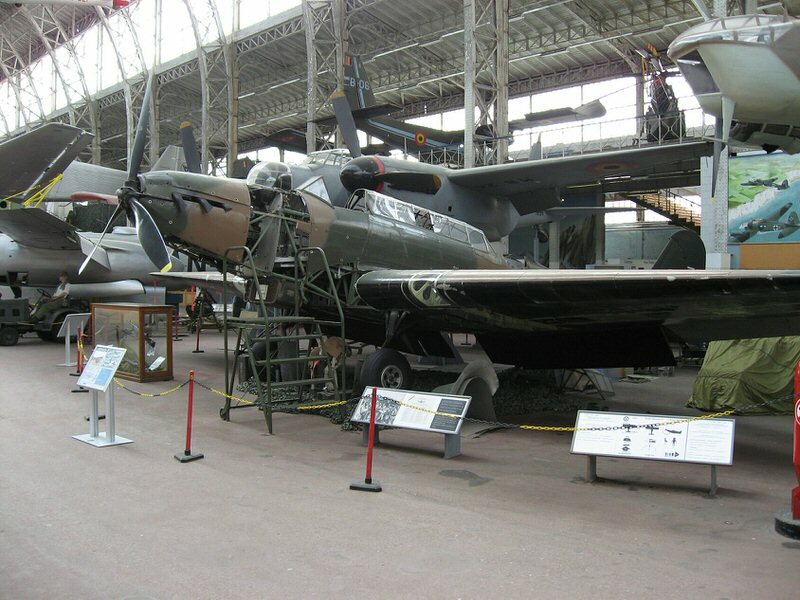 Salle technique — Scheduled to reopen shortly. 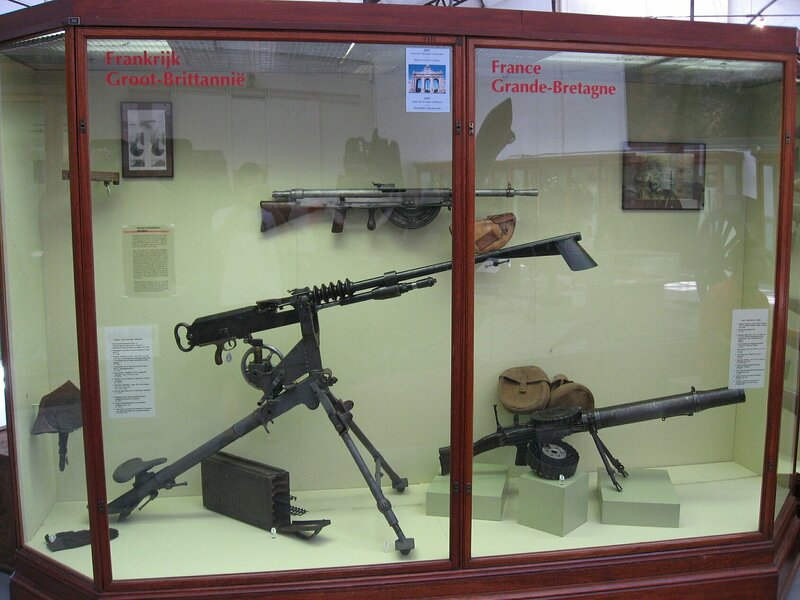 The pieces, mainly portable firearms, come from the Herstal National Factory. The room is very interesting from a musicological point of view (the oldest in this respect in Belgium, along with the Salle historique). 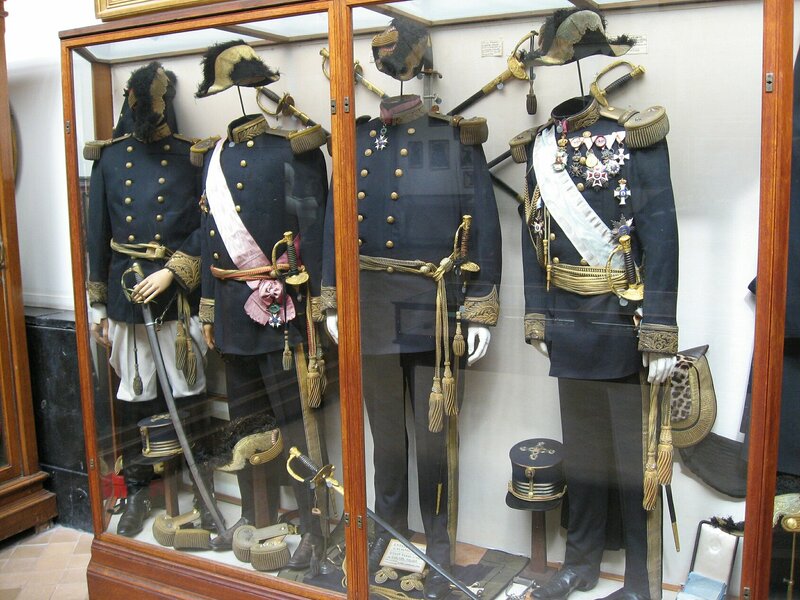 Salle historique (1831-1914) — this room contains the essence of the museum’s collections; the disparate display shows the development of the Belgian army’s uniform, the Civil Guard, the Belgian Royal Navy, long-distance expeditions, and the Belgian voluntary overseas service, from Congo to Pekin, Mexico, headgear and equipment from the war of 1870, Personal effects (clothing and decorations) of Belgium‘s first two kings, Leopold I and Leopold II. 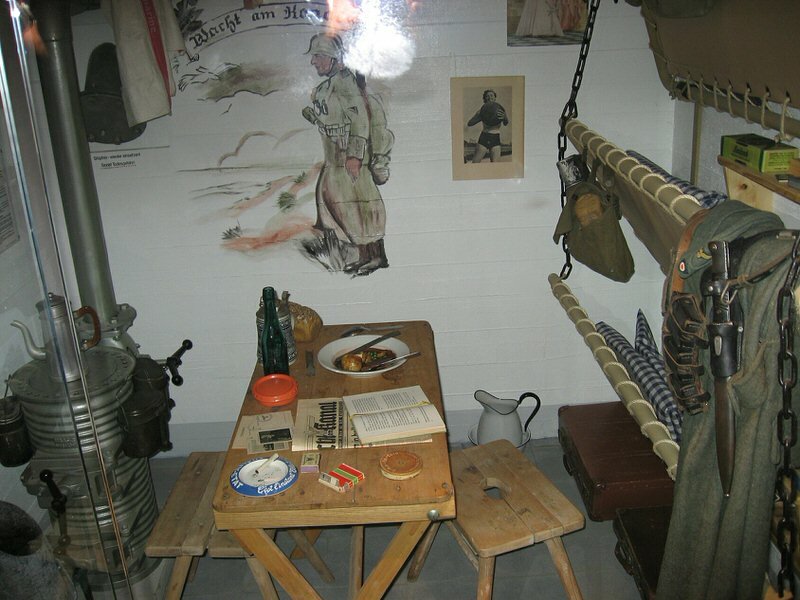 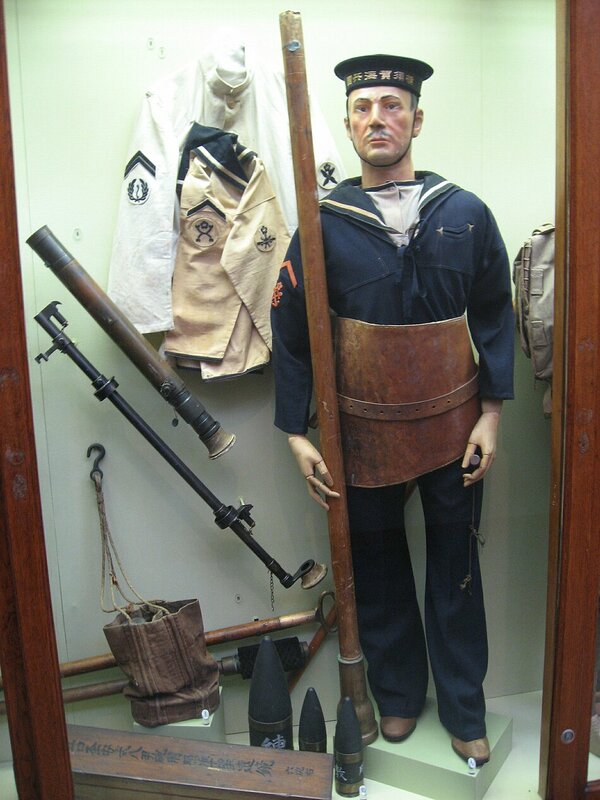 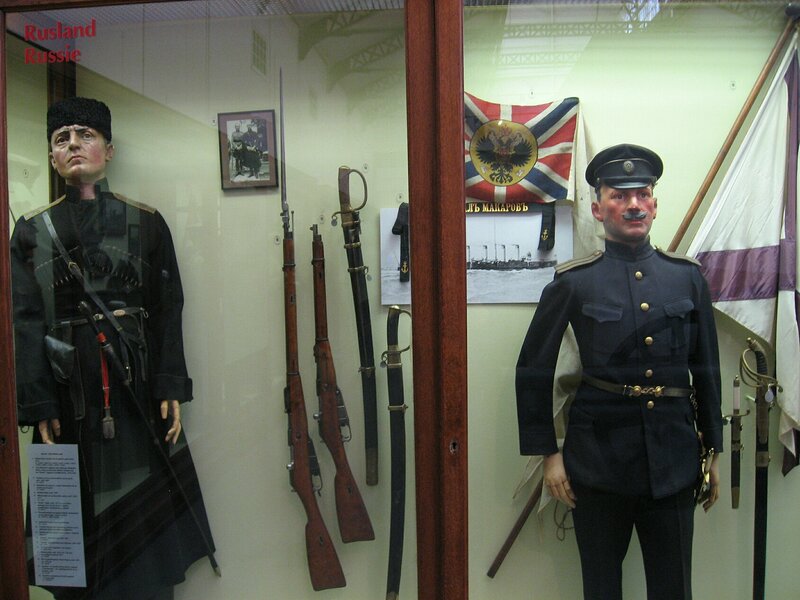 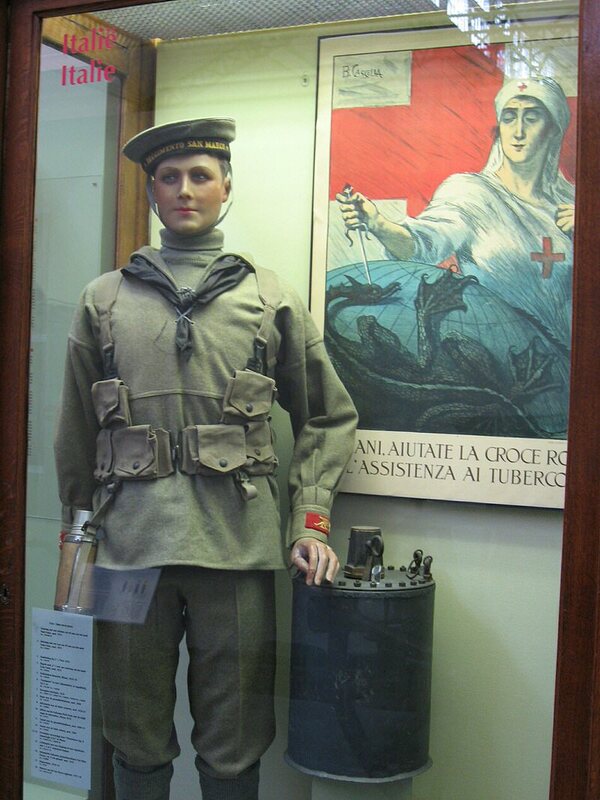 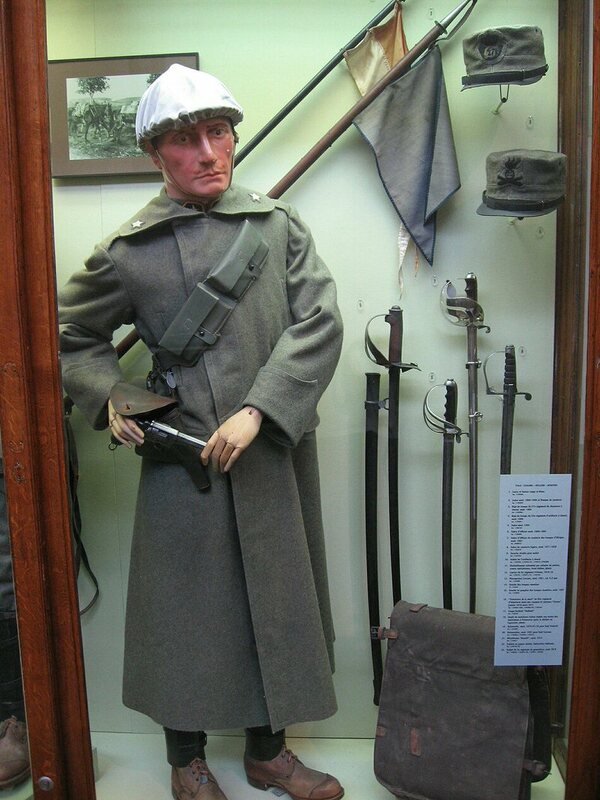 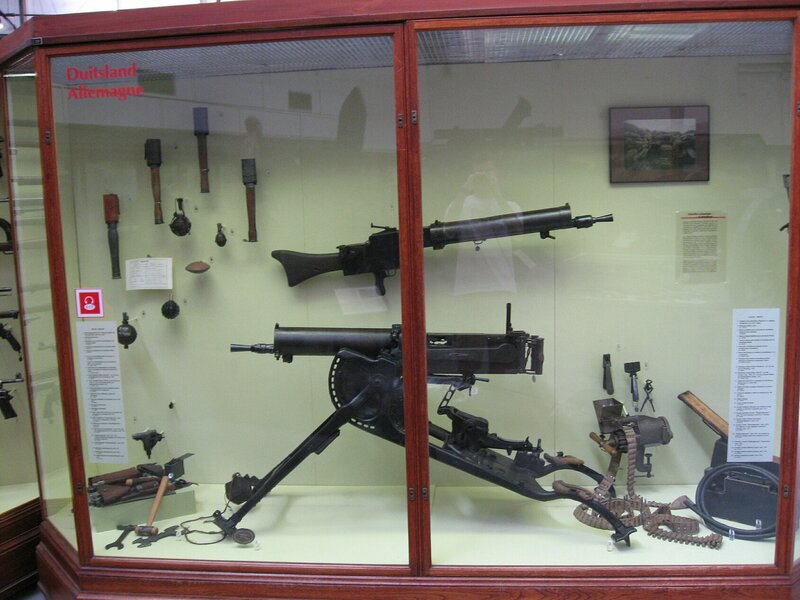 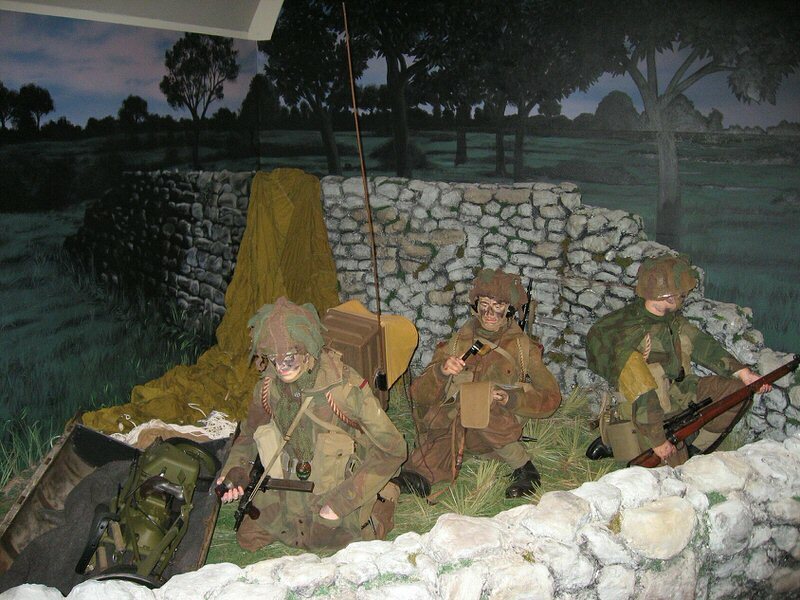 Salle 1914-18 — This new room displays various uniforms, weapons, helmets and relics from everyday life, from all the armed forces that at fought in the First World War. 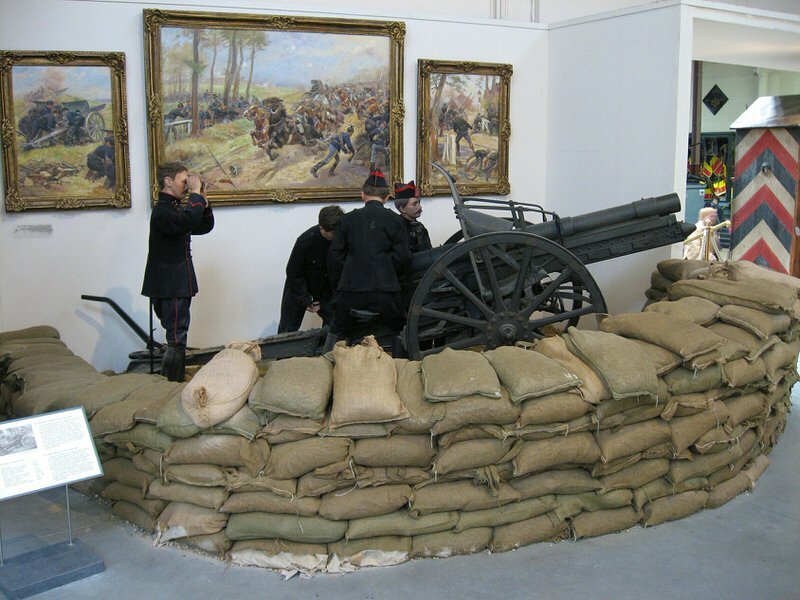 An audio-visual presentation illustrates the flooding of the polders, an episode from the Battle of the Yser. 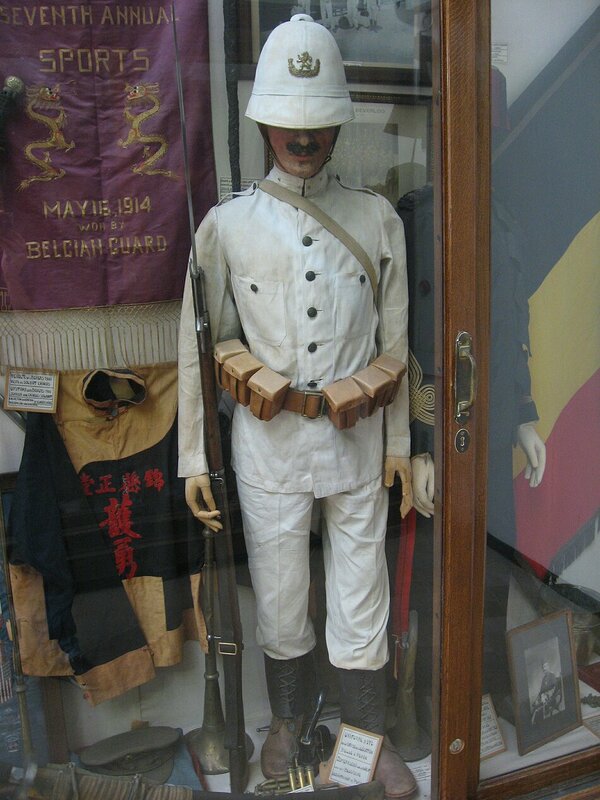 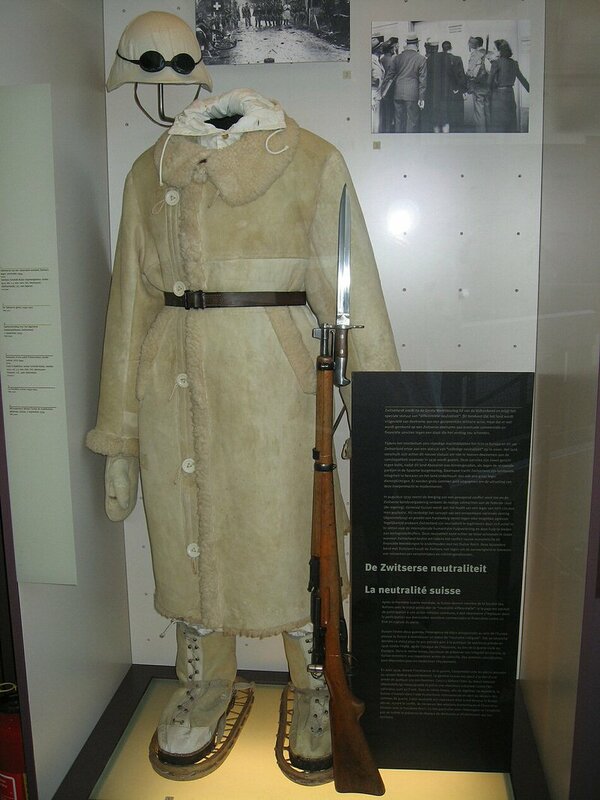 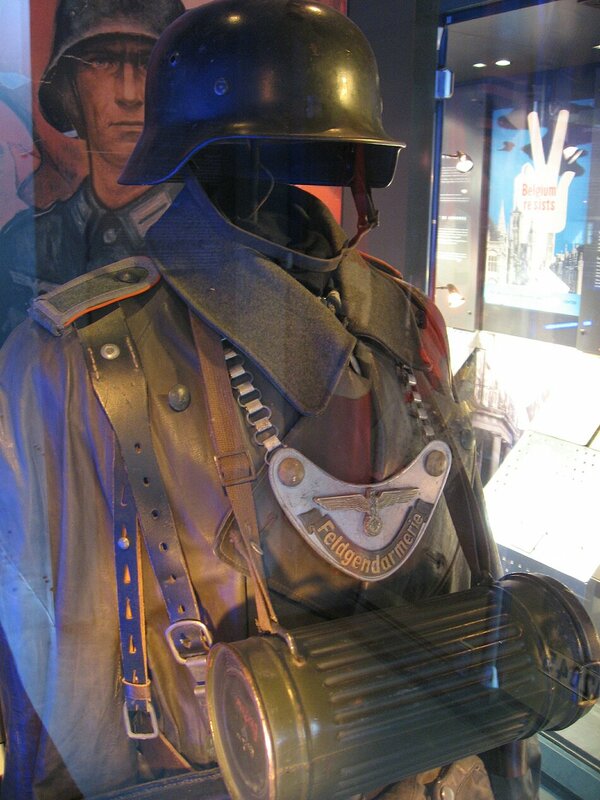 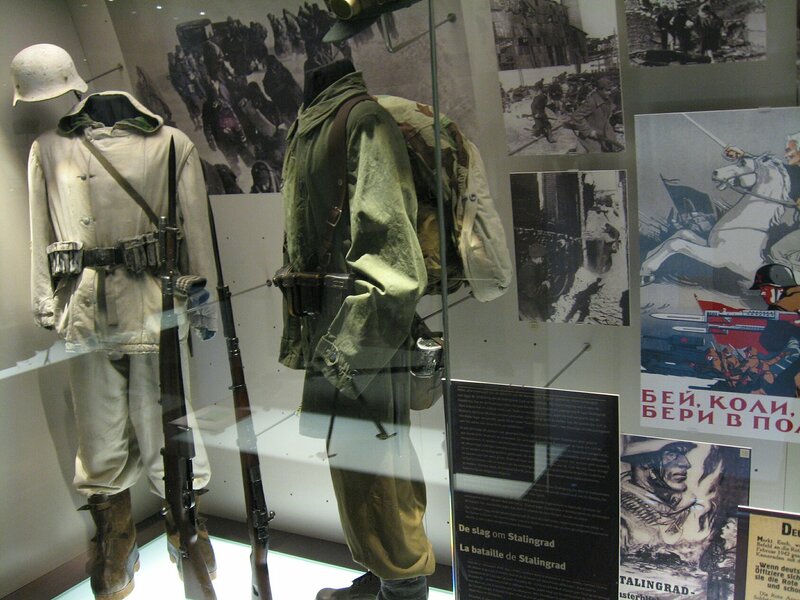 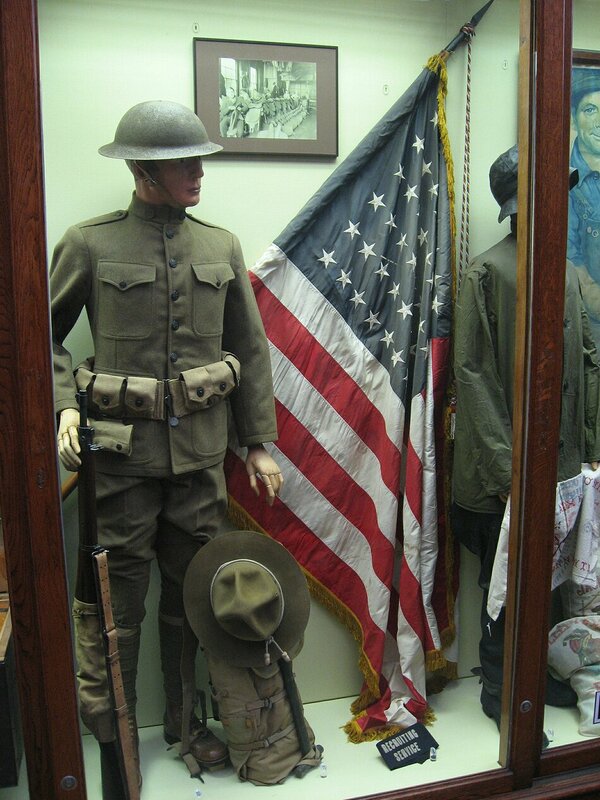 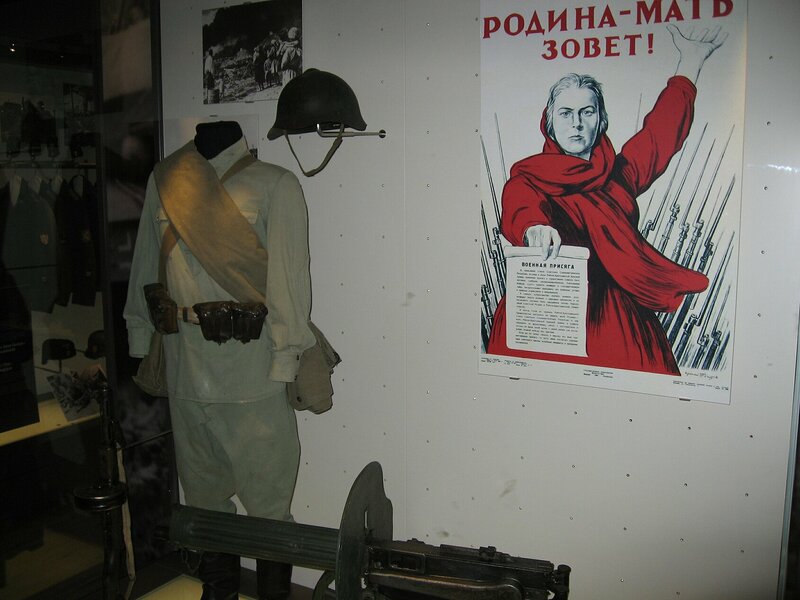 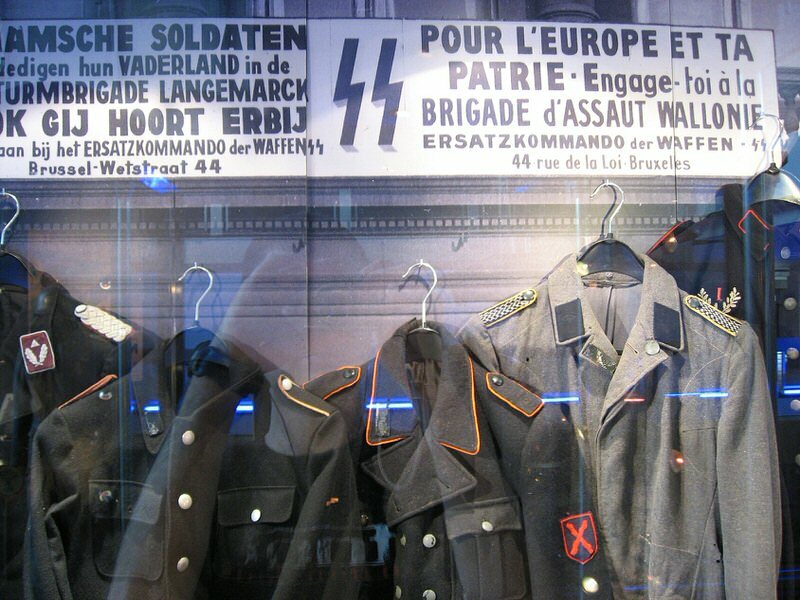 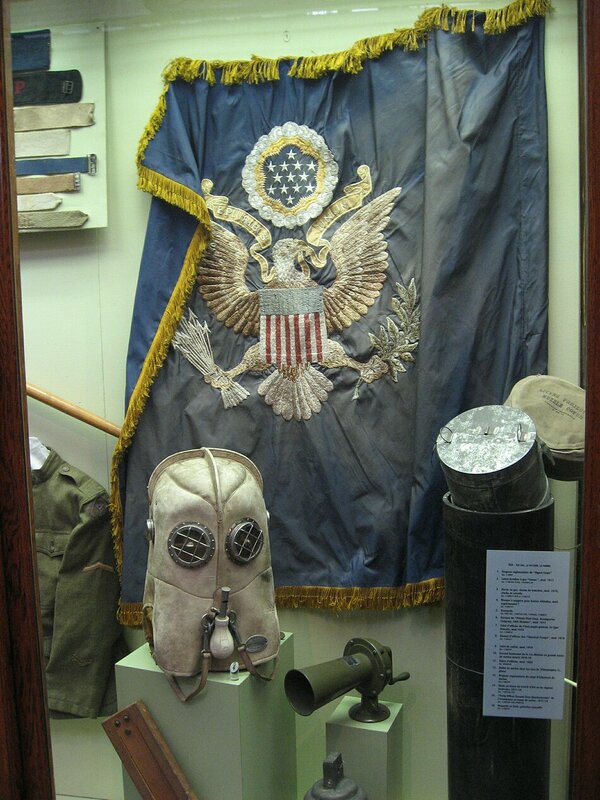 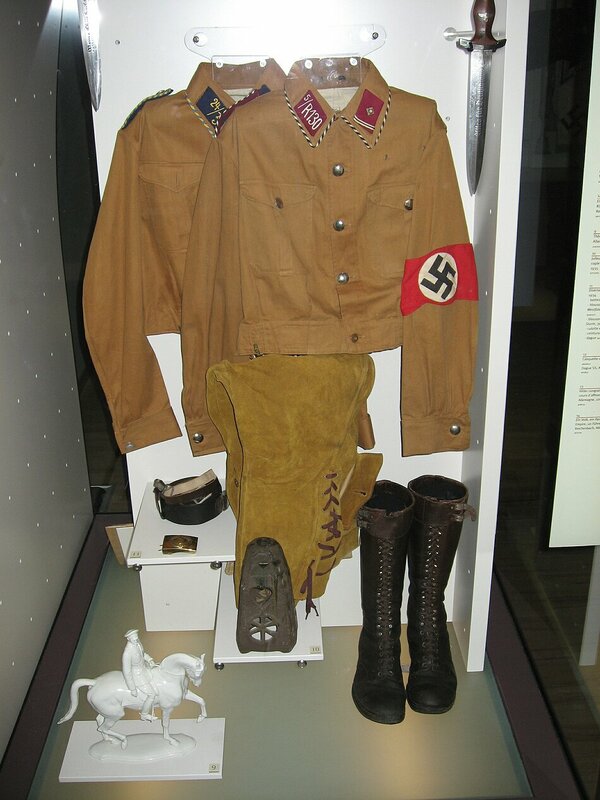 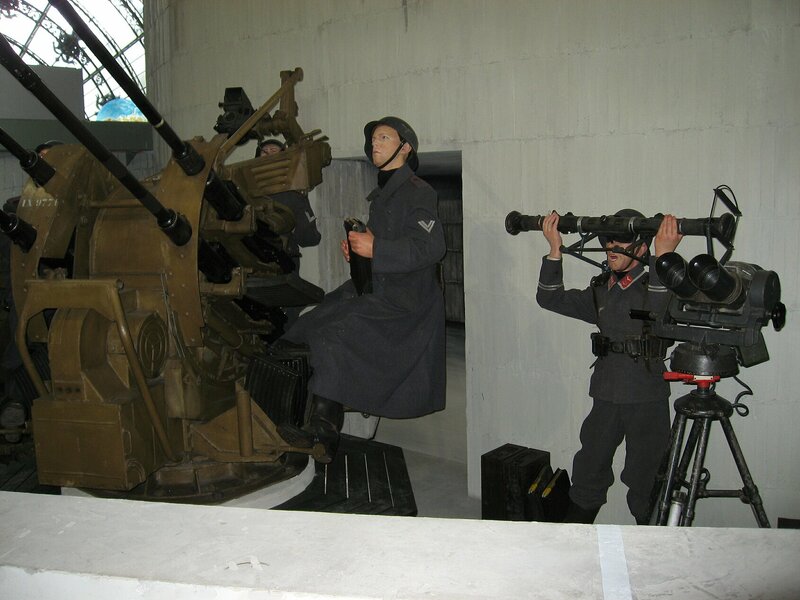 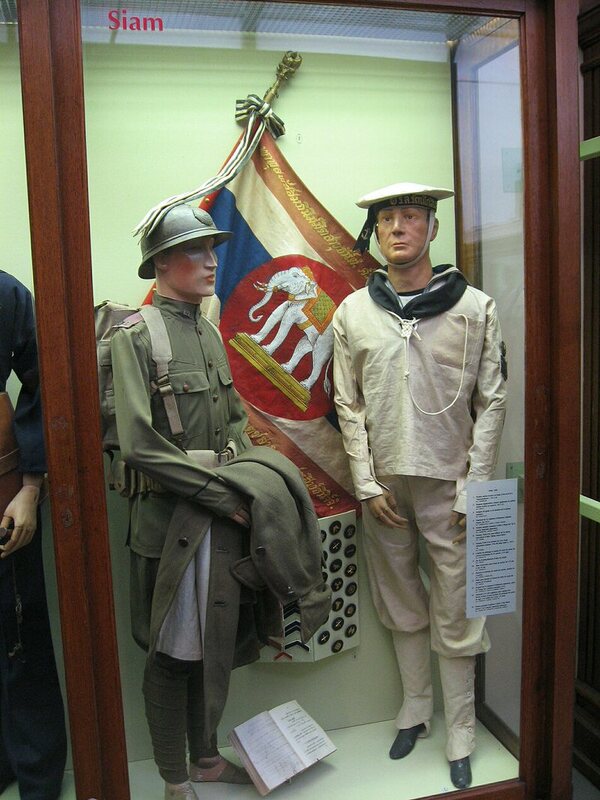 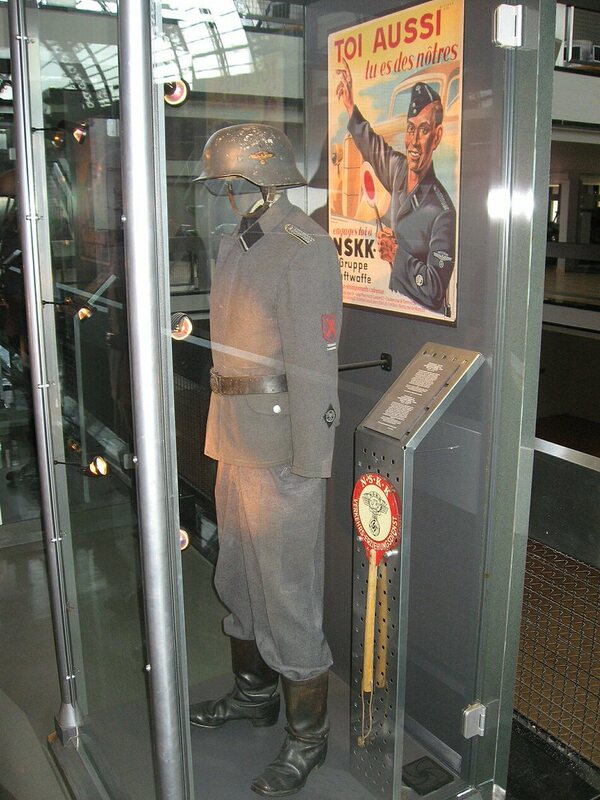 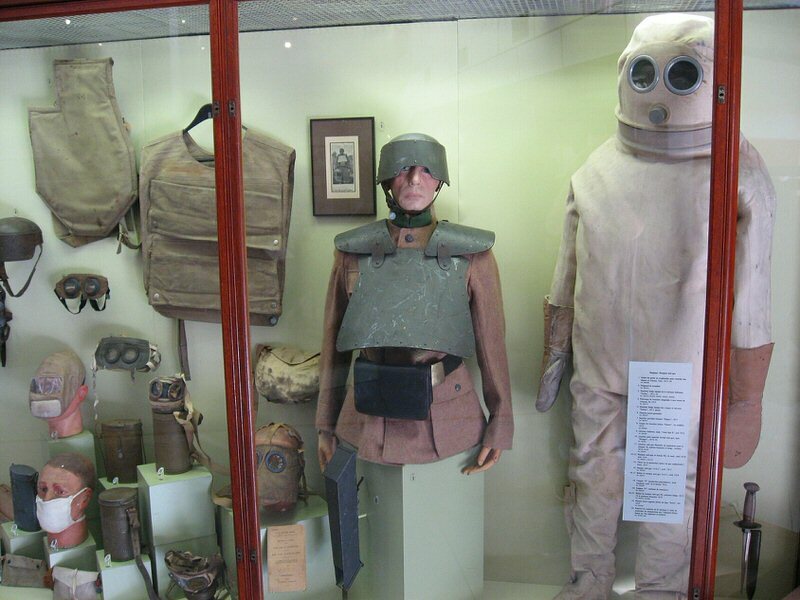 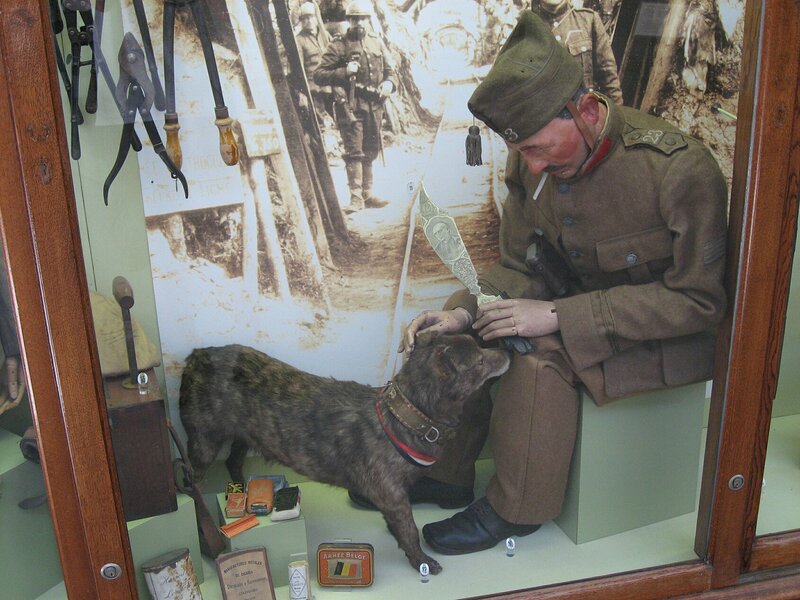 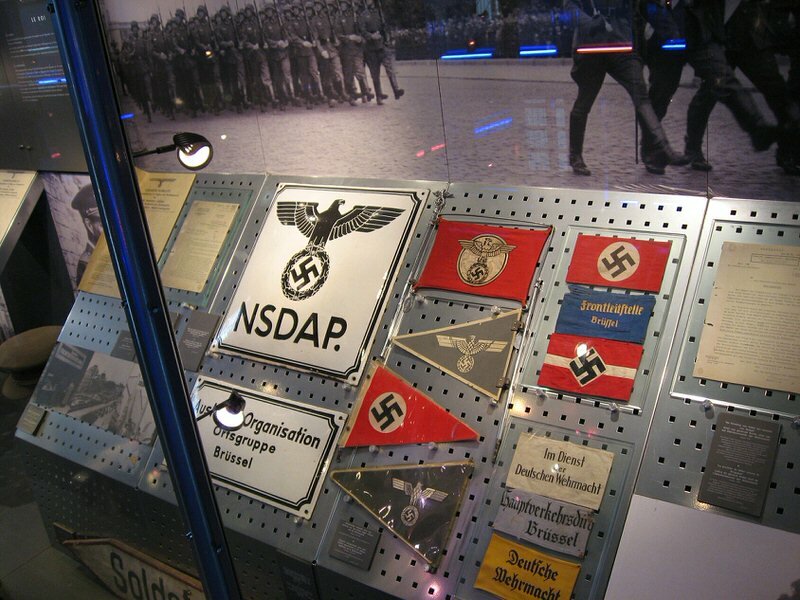 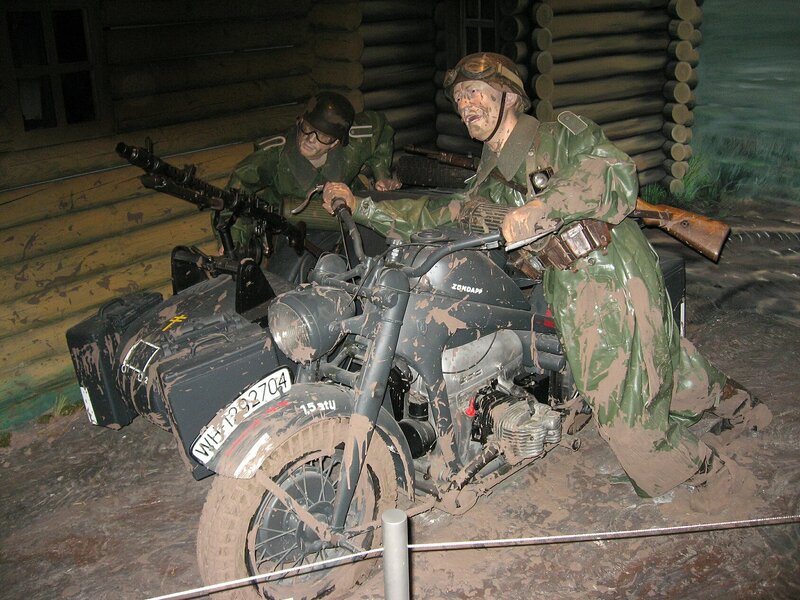 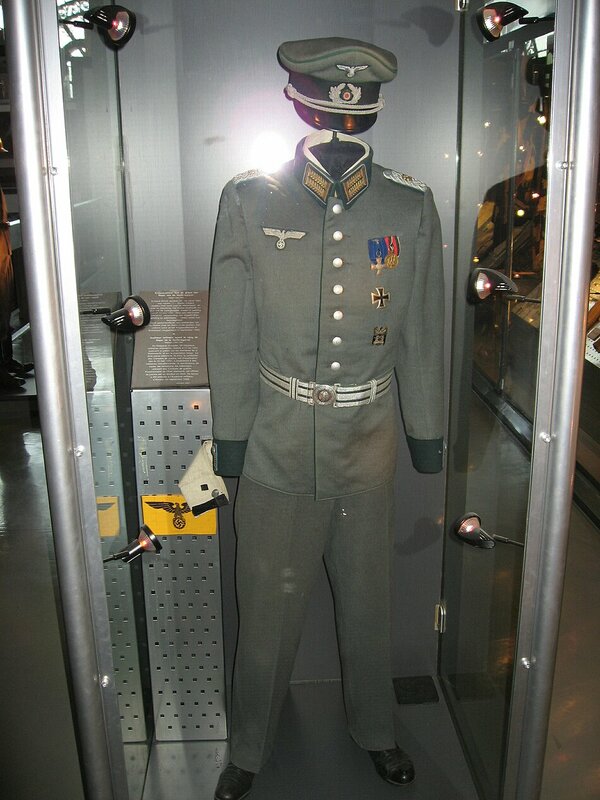 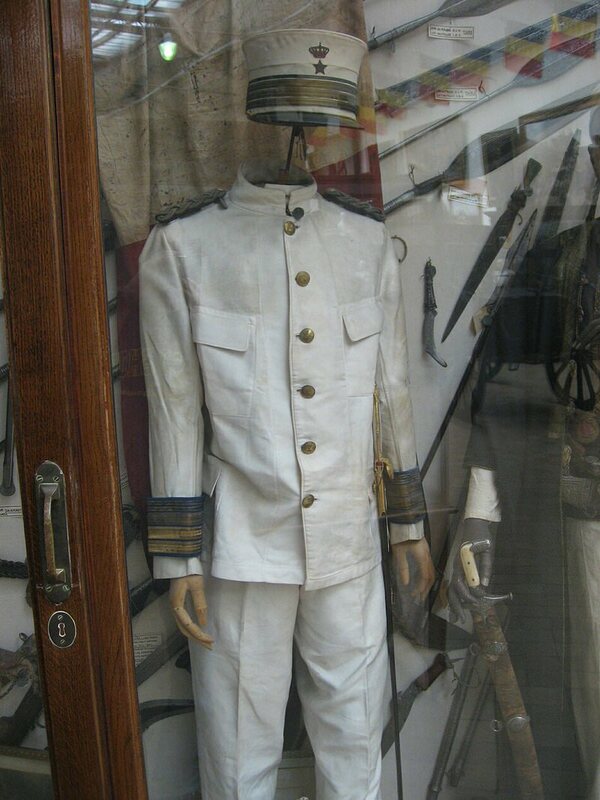 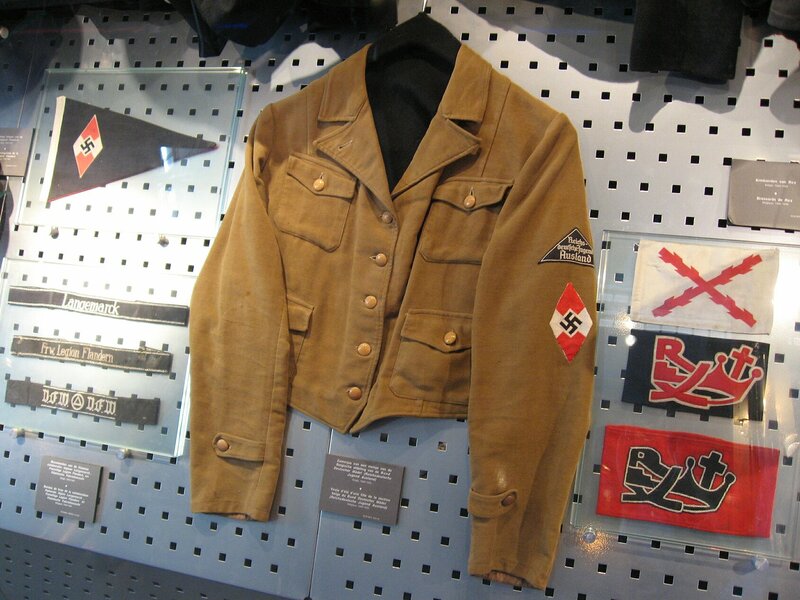 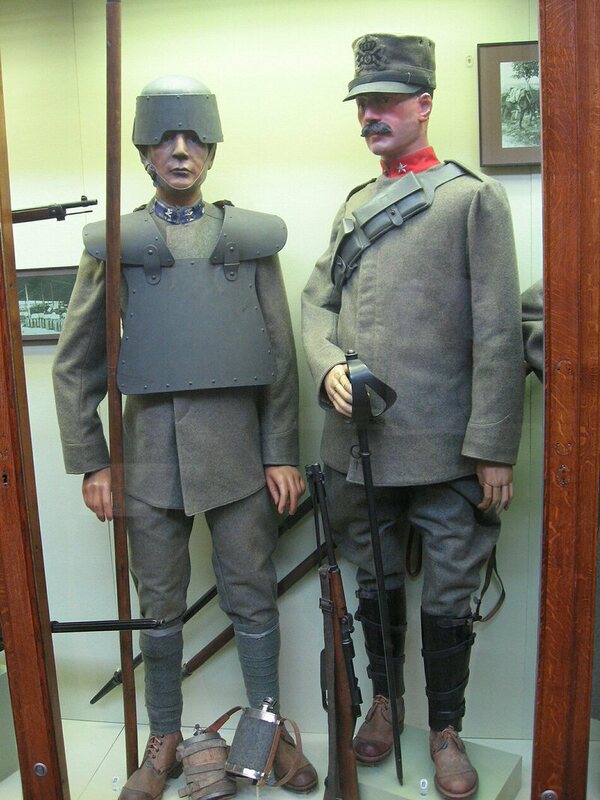 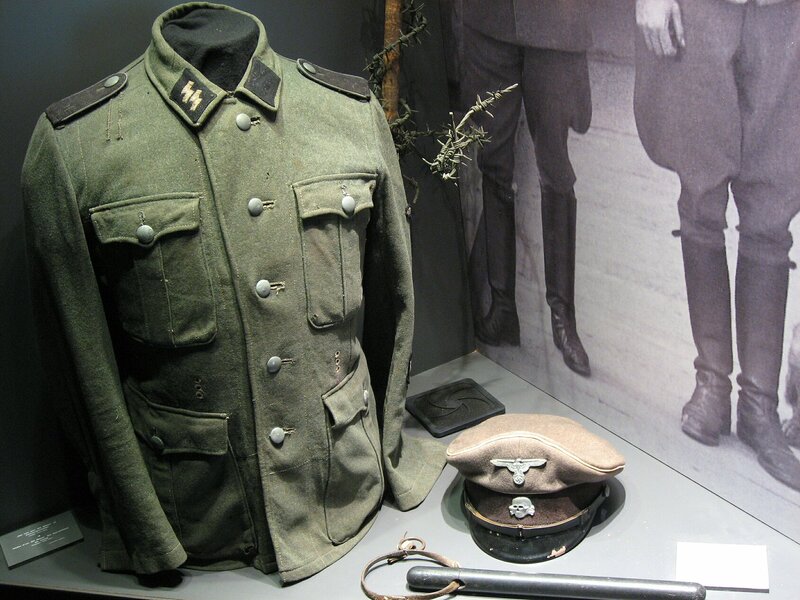 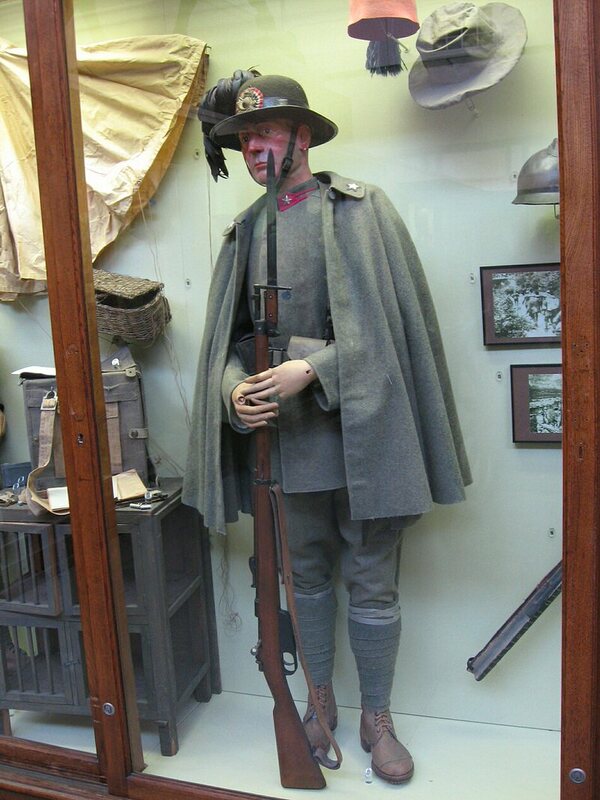 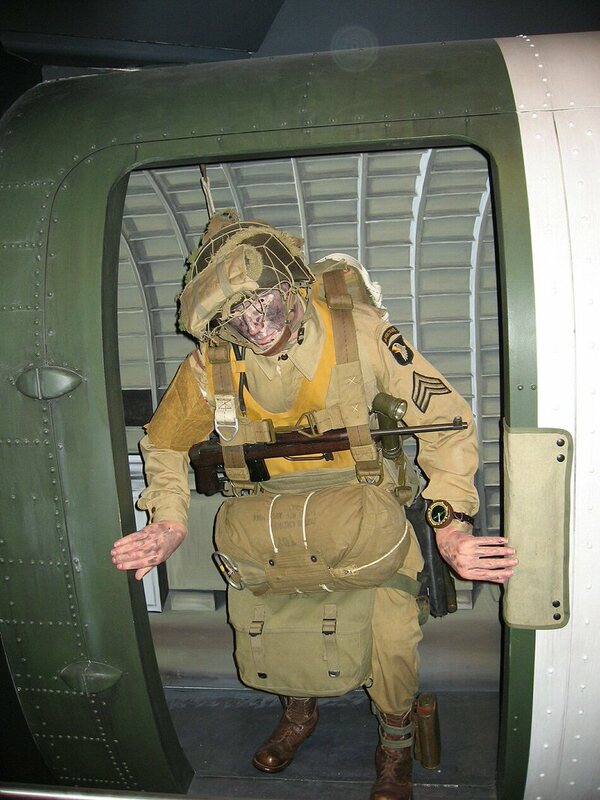 Halle Bordiau (1914-18 and 1940-45) — located in the vast Bordiau Hall, the collection consists of uniforms and helmets from every corner of the World. 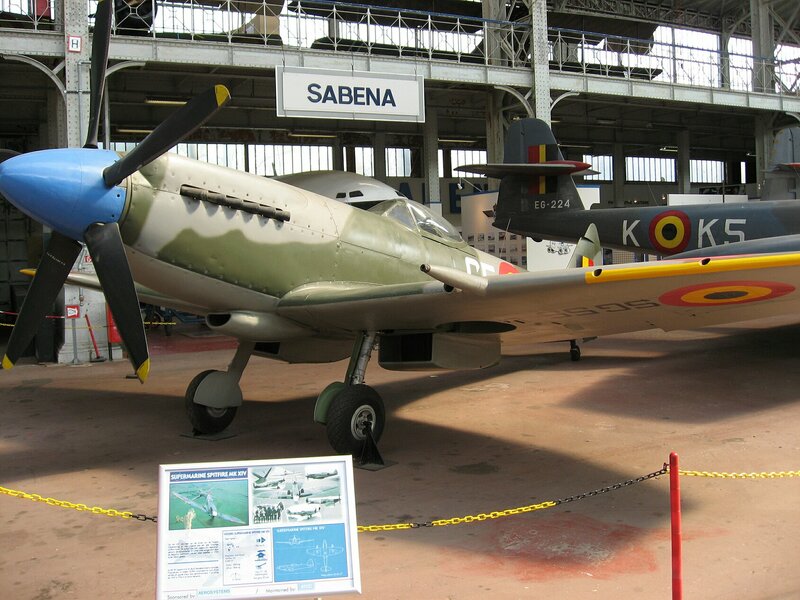 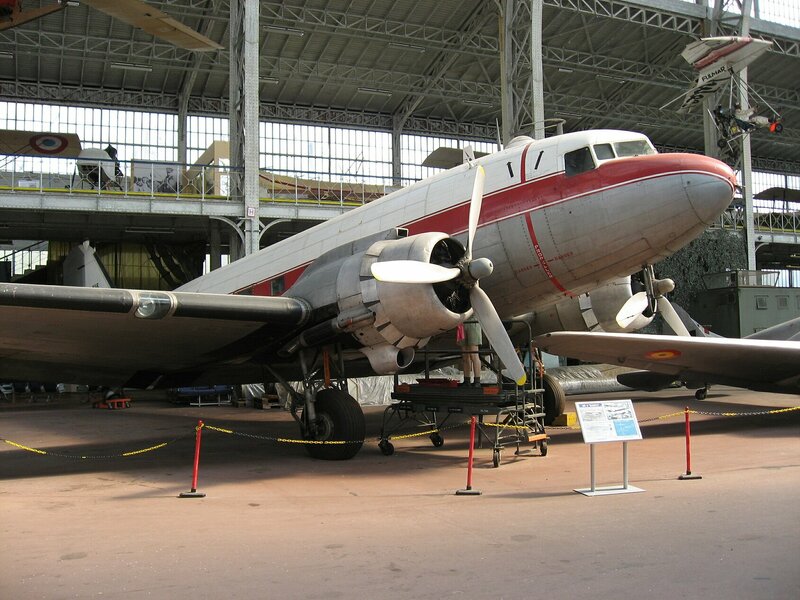 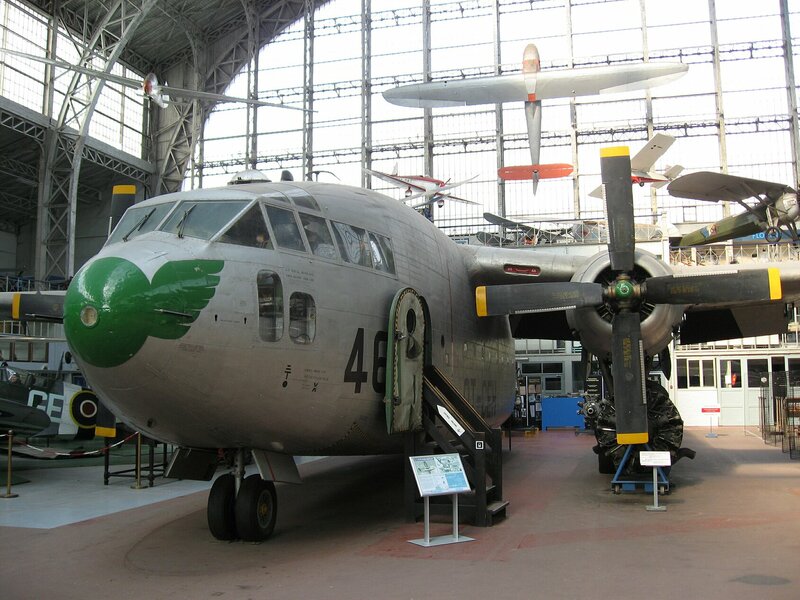 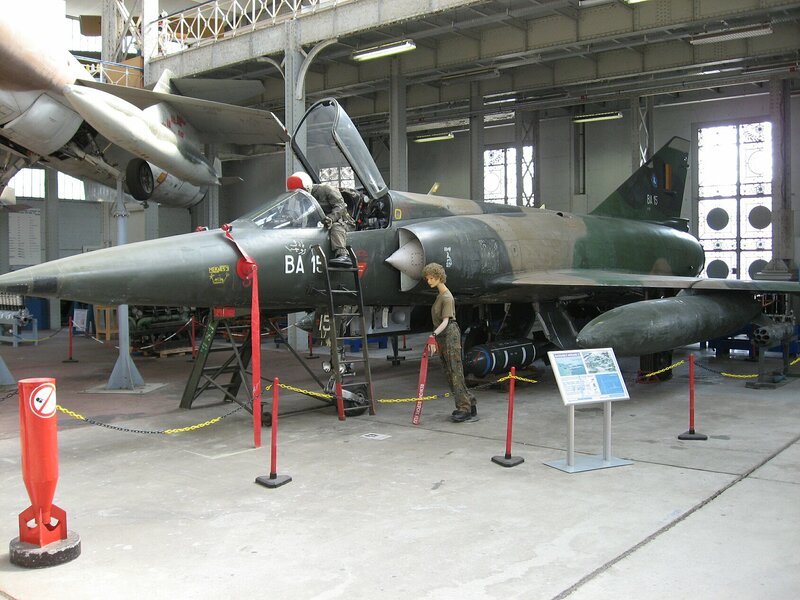 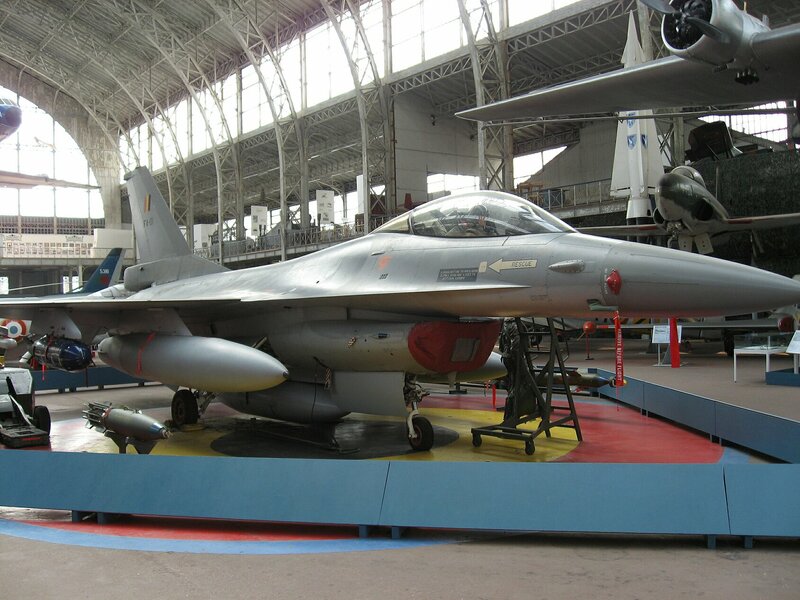 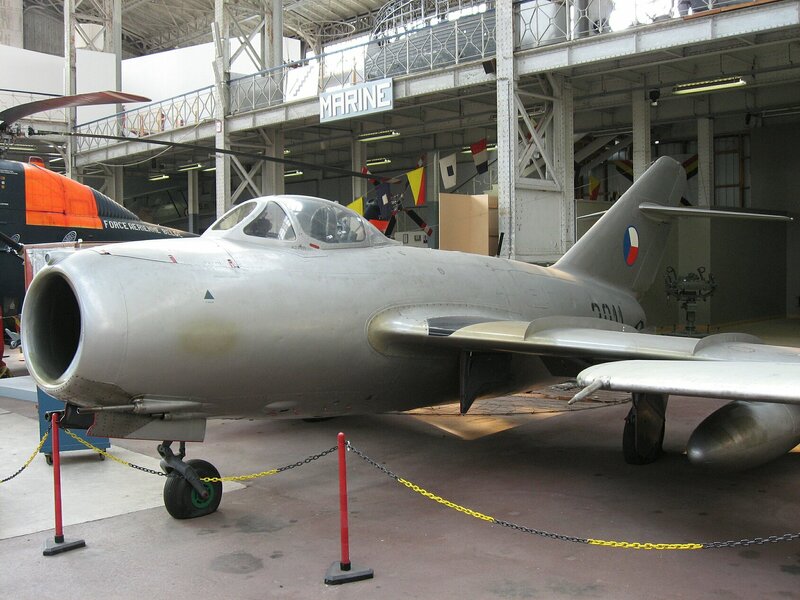 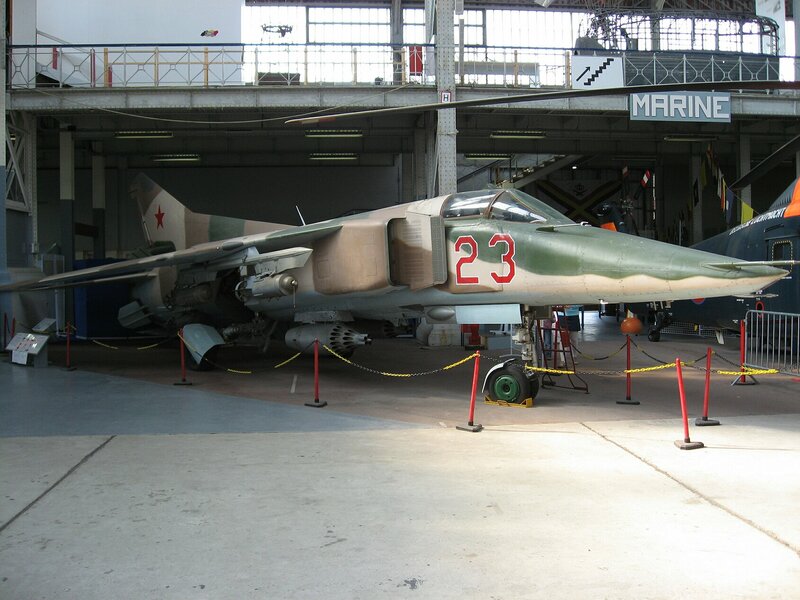 Section Air et Espace – The Air and Space section, which has been built up through an exchange system and is housed in a huge hall, includes some 150 aircraft, dominated by a Sabena Caravelle; the collection consists principally of fighter aircraft, of which 70 are on display. -more than 13 000 constructed), a Fairchild C119 (1950 – used in Korea and Vietnam), a 1950 Sabre, and a 1958 Phantom; a 1945 Belgian Stampe (a biplane of worldwide renown), a Soviet Mig (1958 and 1975), a French Dassault Ouragan (1949 – the first mass-produced French jet aircraft), and a Fouga Magister (1951 Ithe first trainer jet in the world). 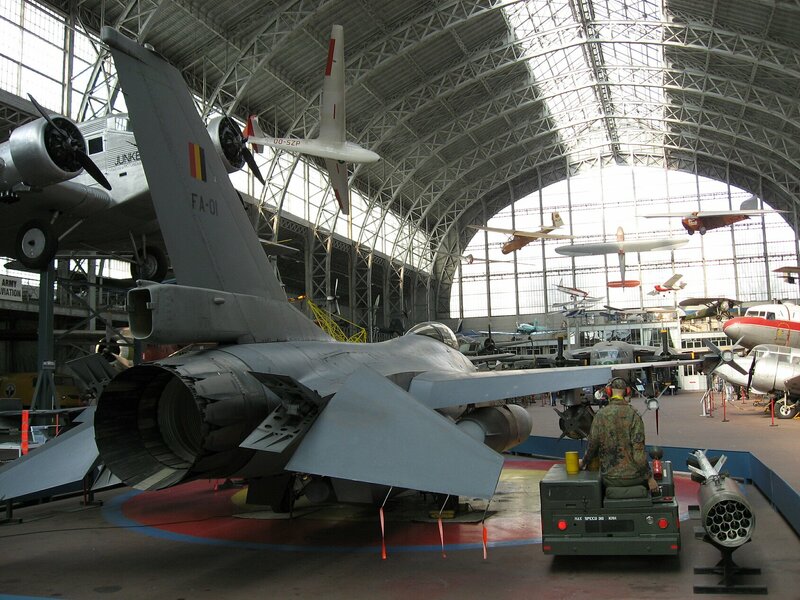 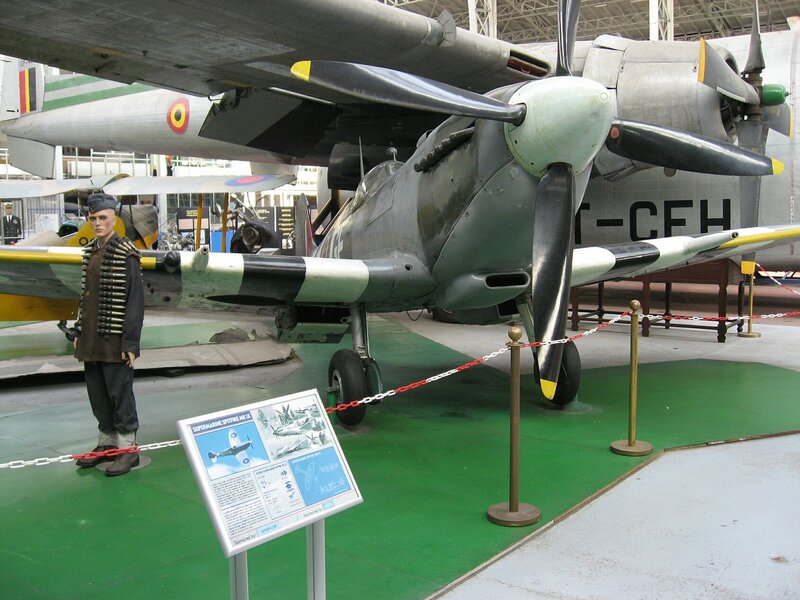 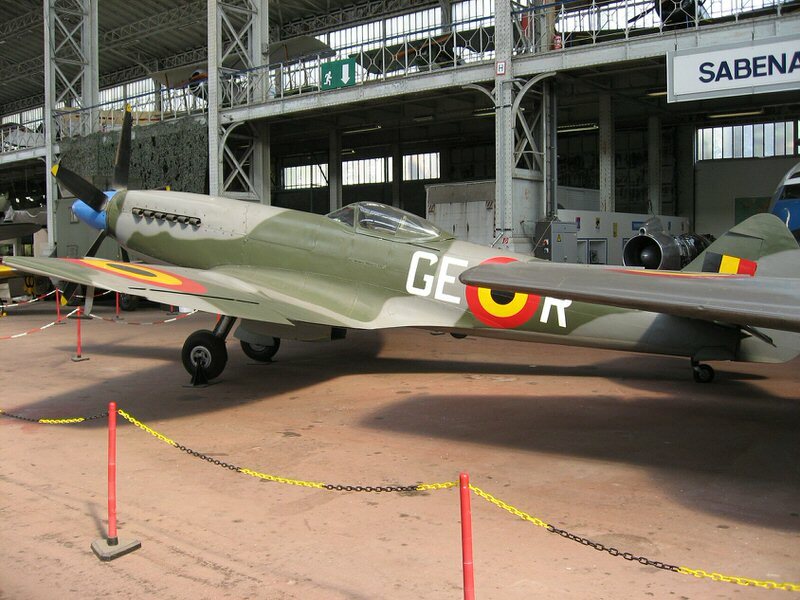 Three subsections present engines from 189 to today, Belgian military aviation in Africa and Belgian expeditions to Antarctica. 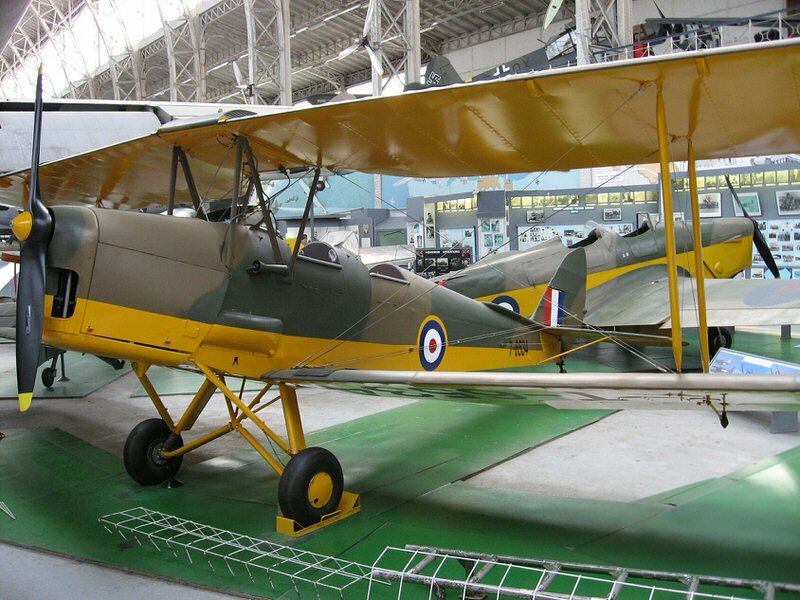 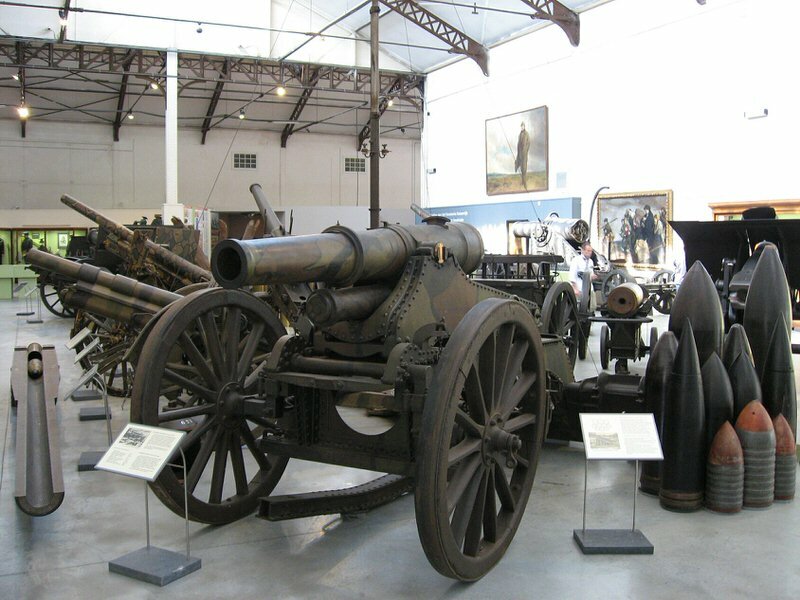 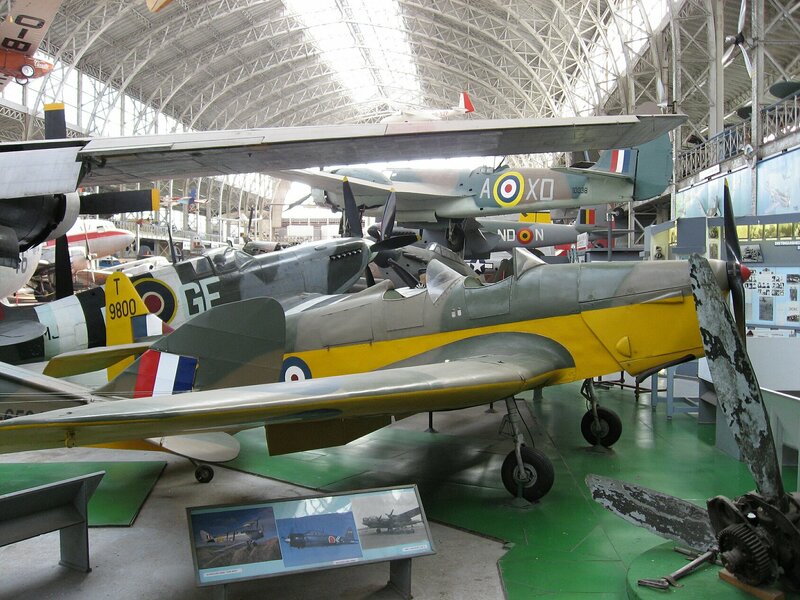 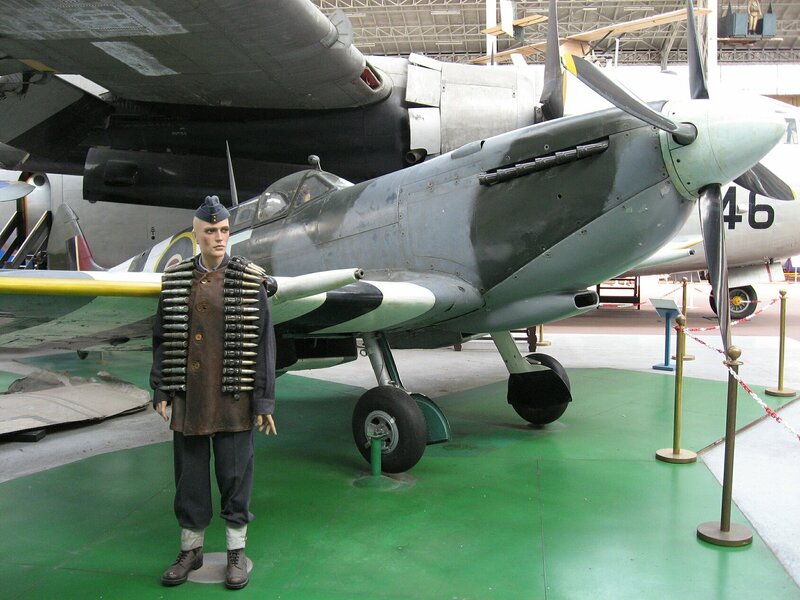 Apart from a small section devoted to ballooning, the gallery mainly features a par­ticularly fine collection of First World War aircraft; a copy of Baron Manfred von Richthofen’s German Fokker, a British Bristol, a Caudron, a Maurane-Saulnier, a Schreck, a Span, a French Voisin etc. 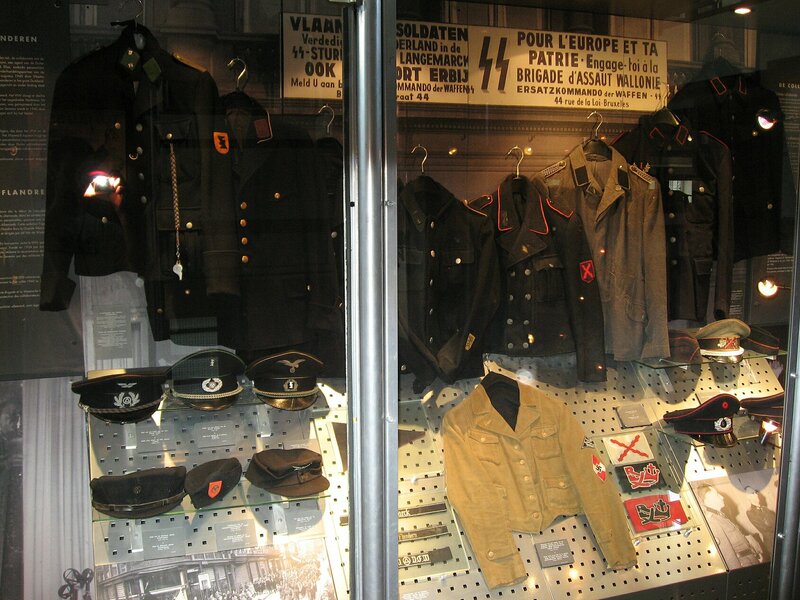 Section des Blindés – In the open air; access via avenue des Gaulois which runs along the small park on the residential side. 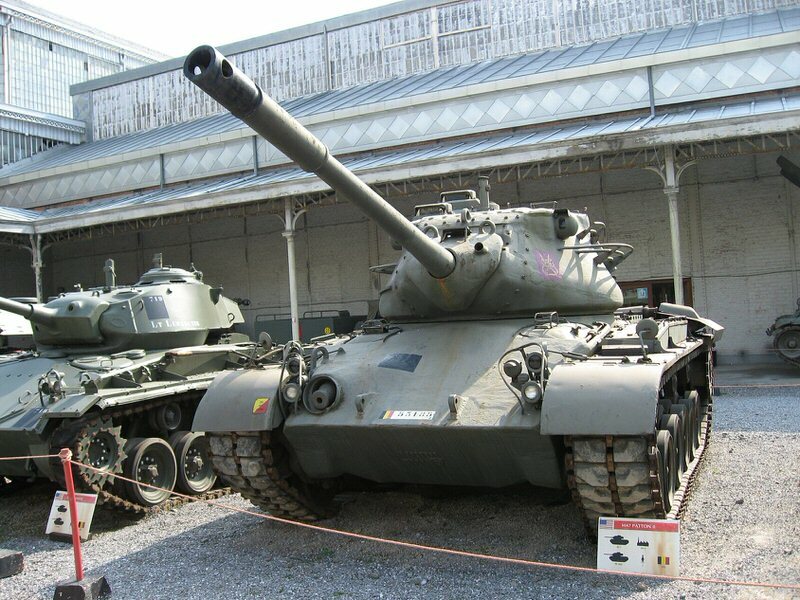 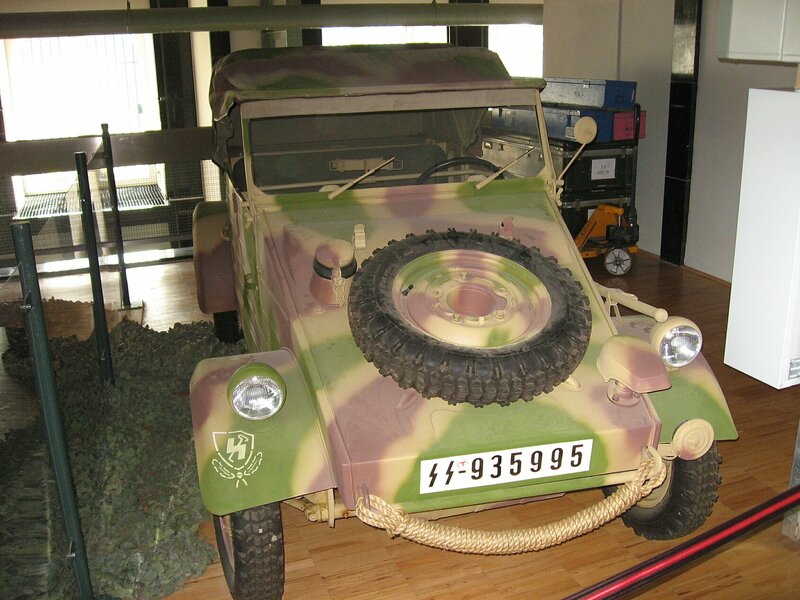 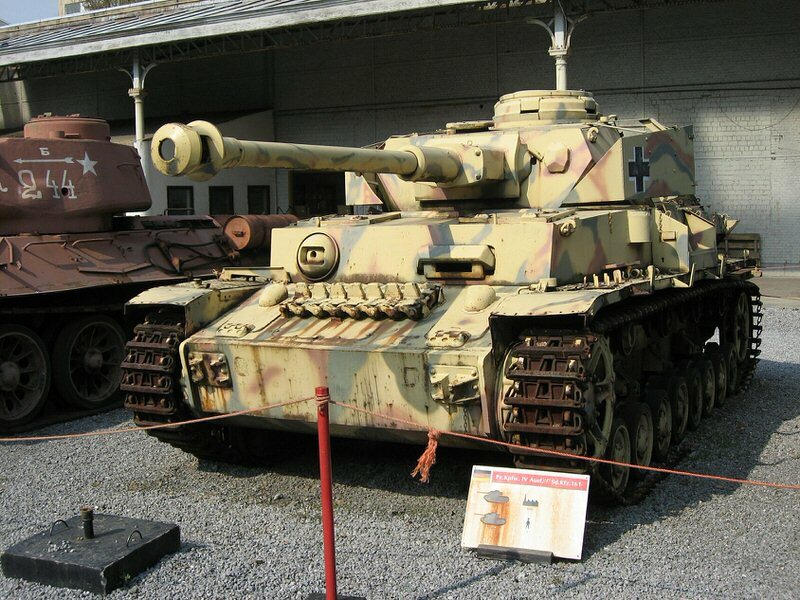 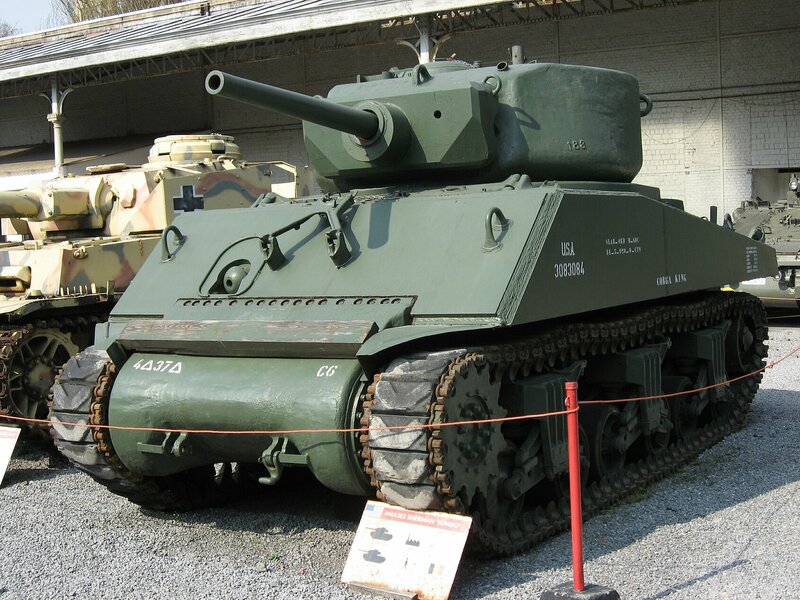 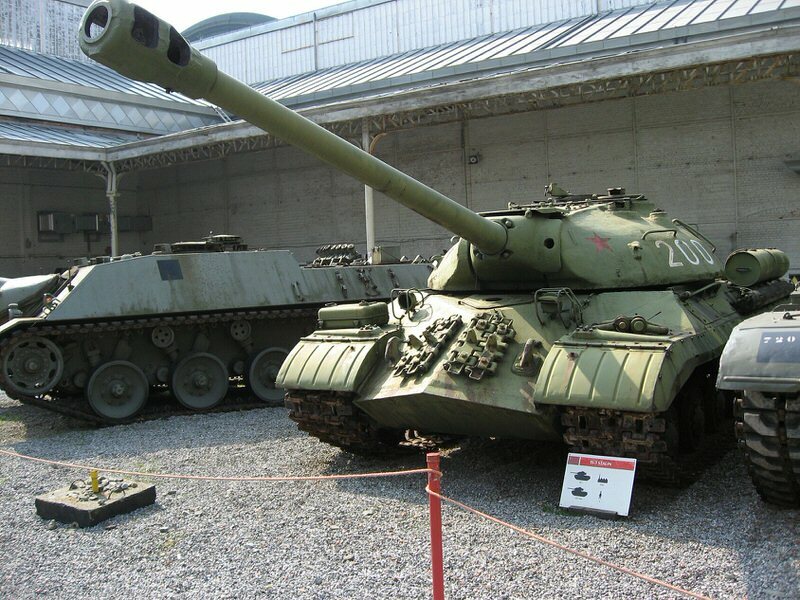 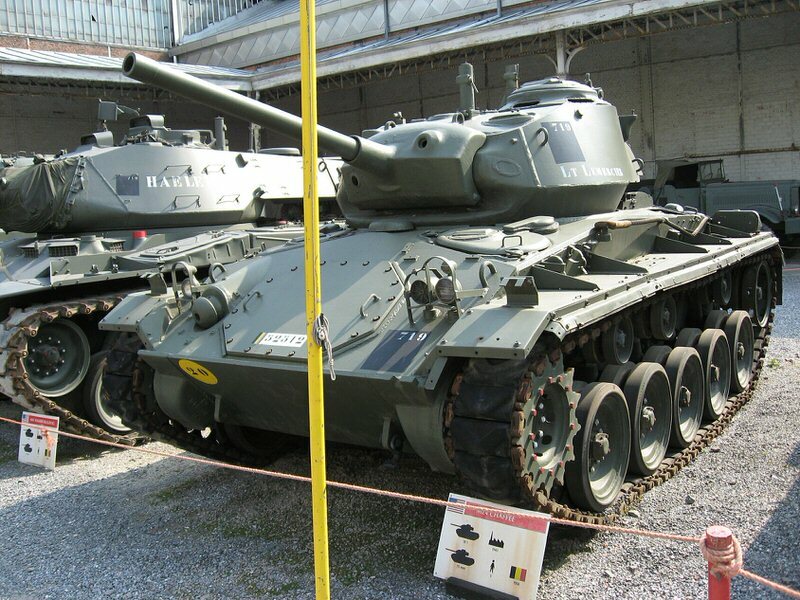 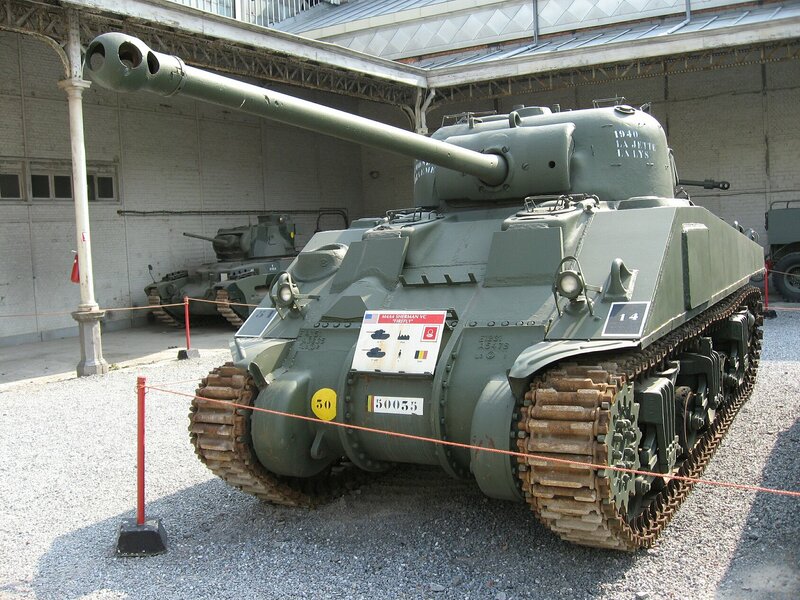 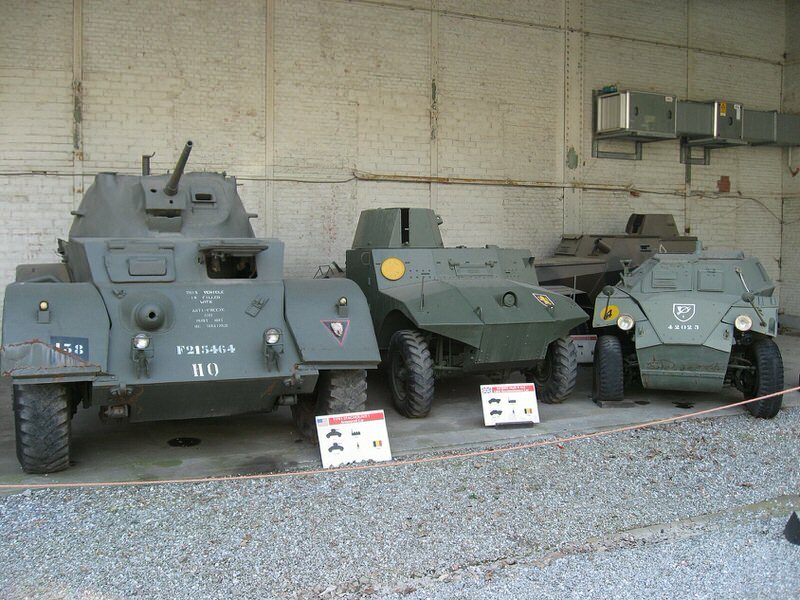 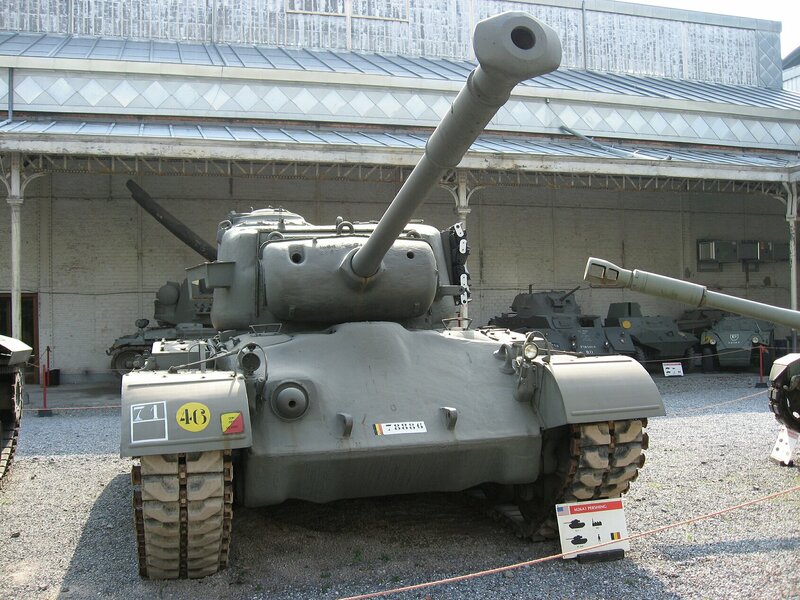 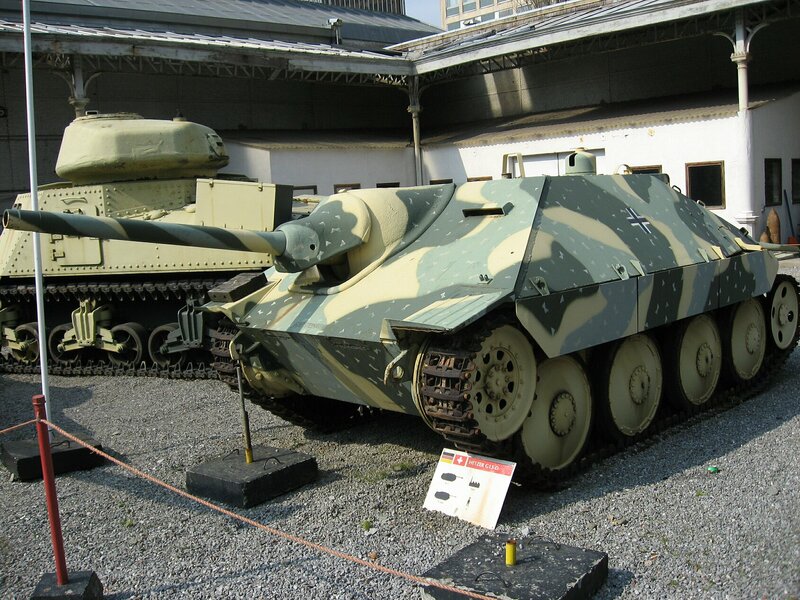 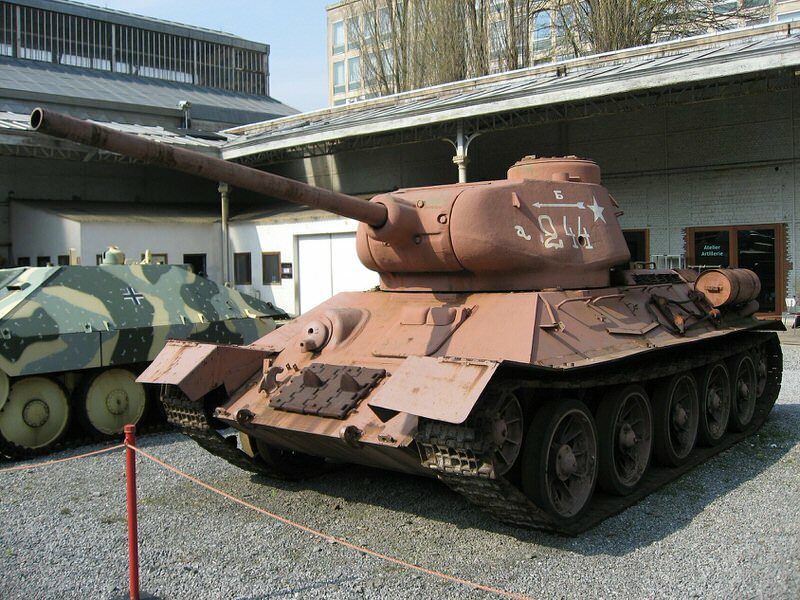 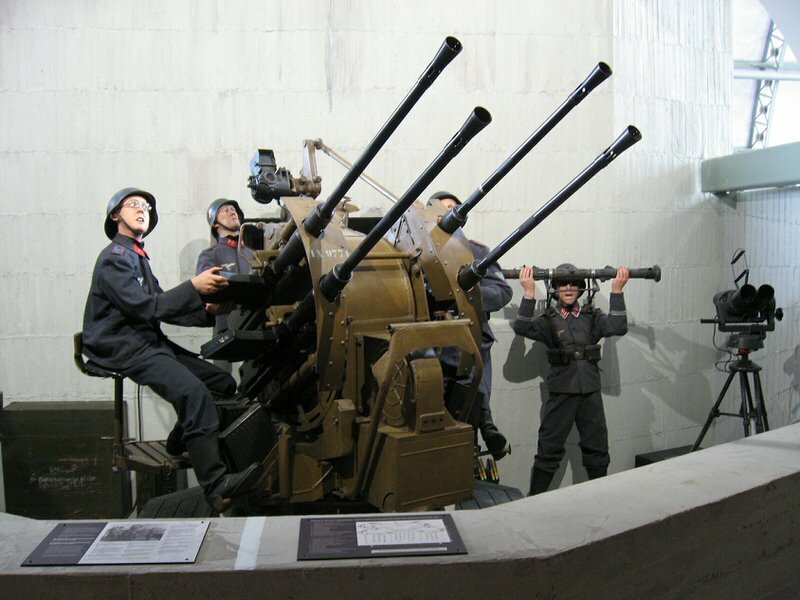 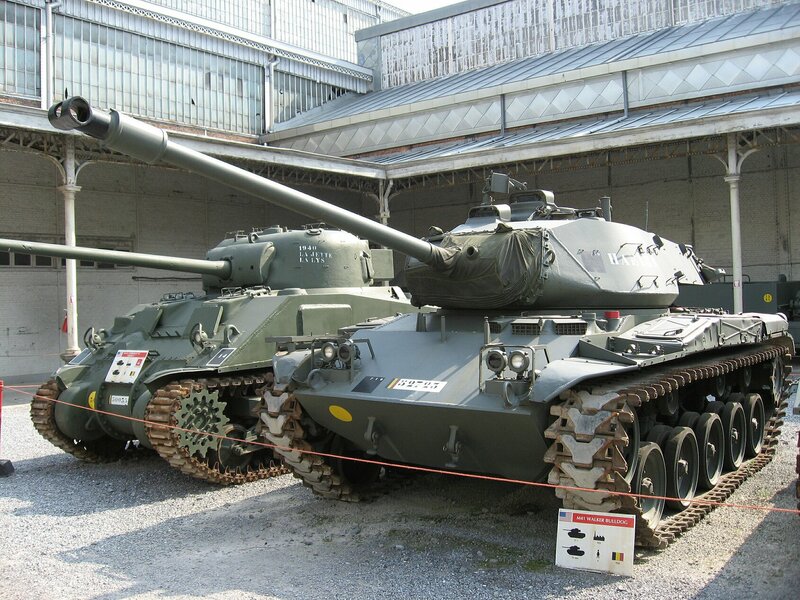 This collection of armored vehicles contains both Belgian vehicles (from 1935 onwards) and models from other countries (United States, France, Great Britain, Czechoslo­vakia, and USSR). 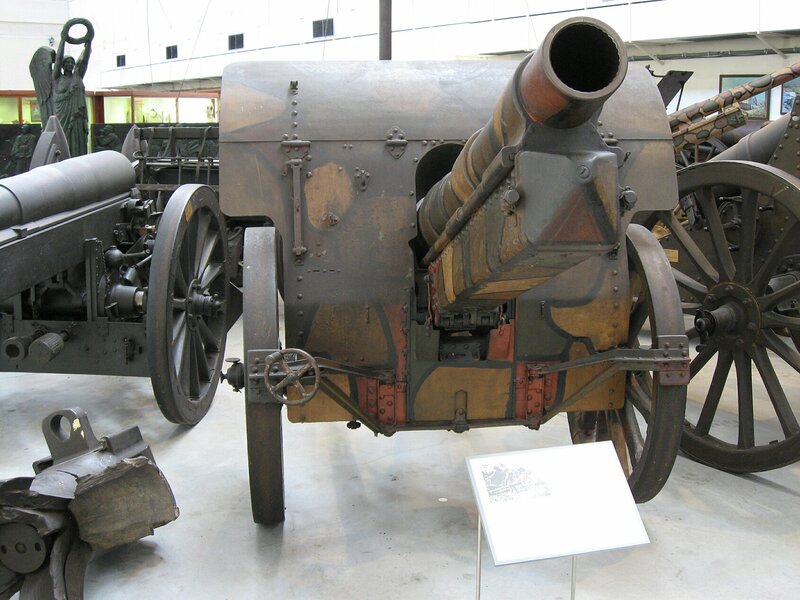 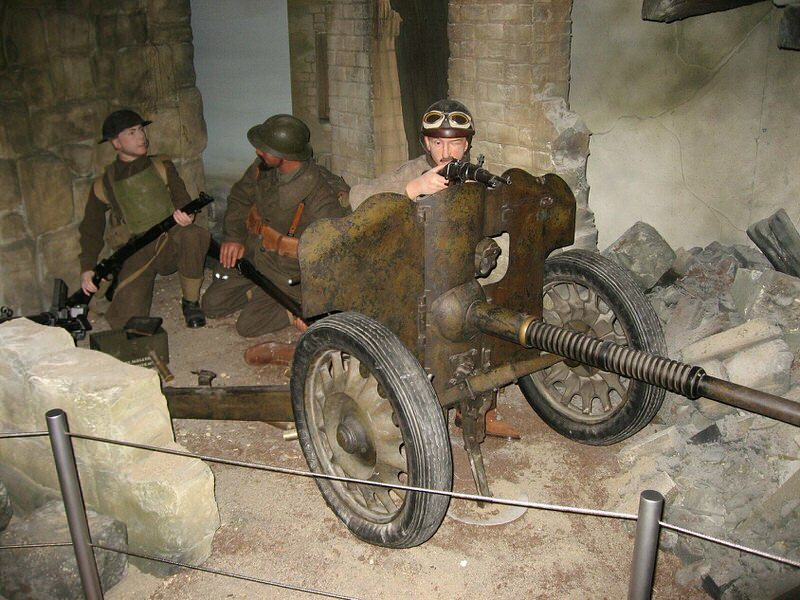 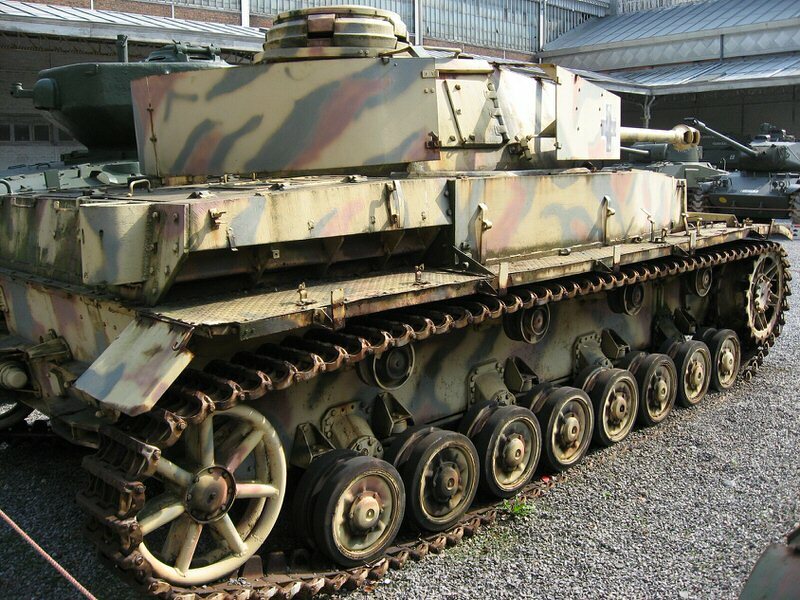 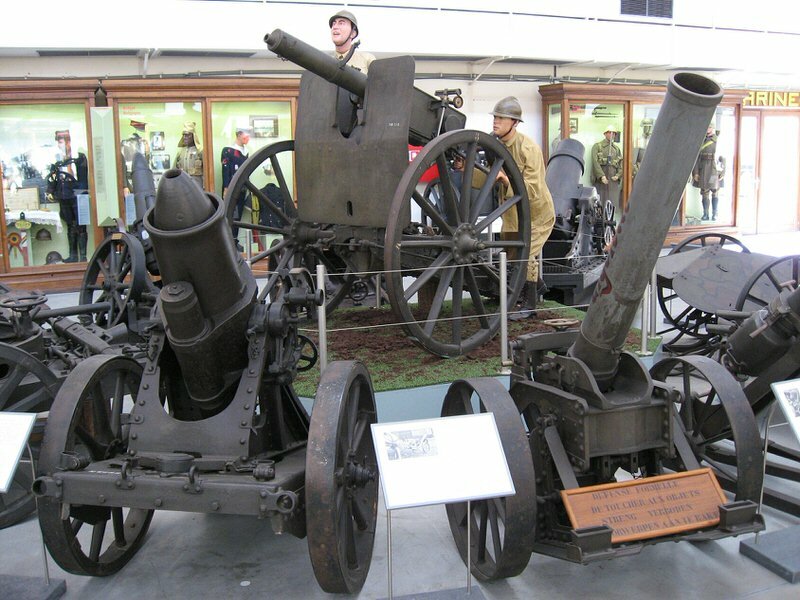 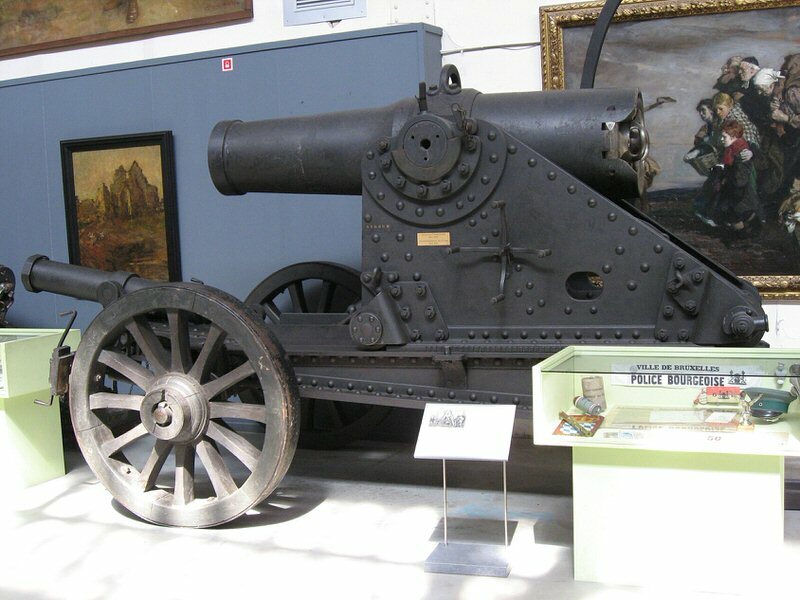 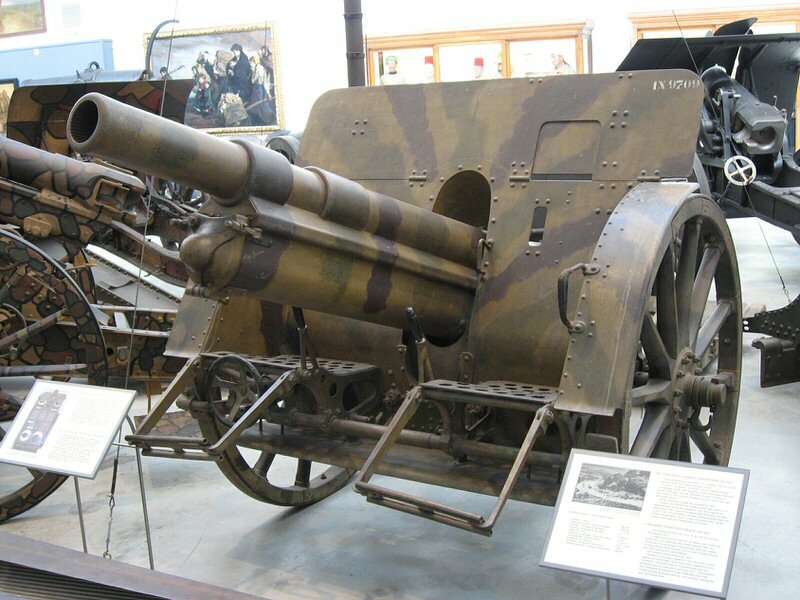 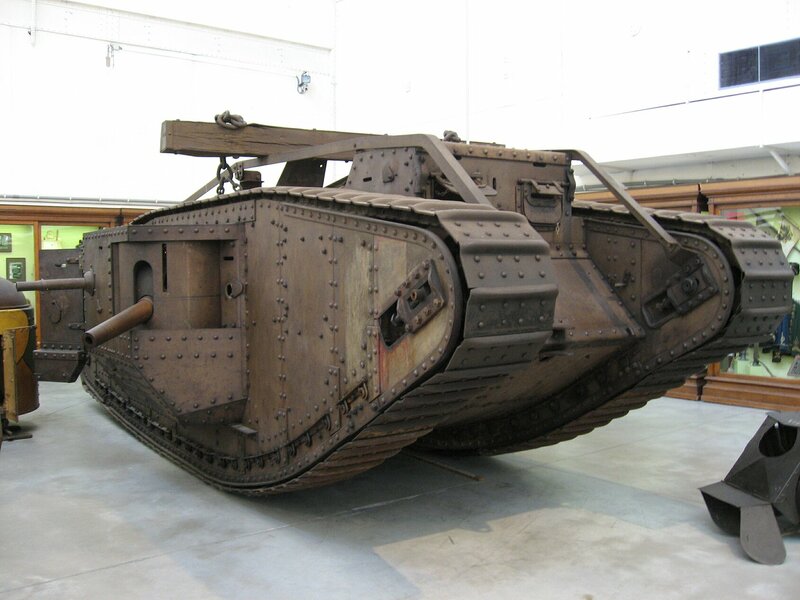 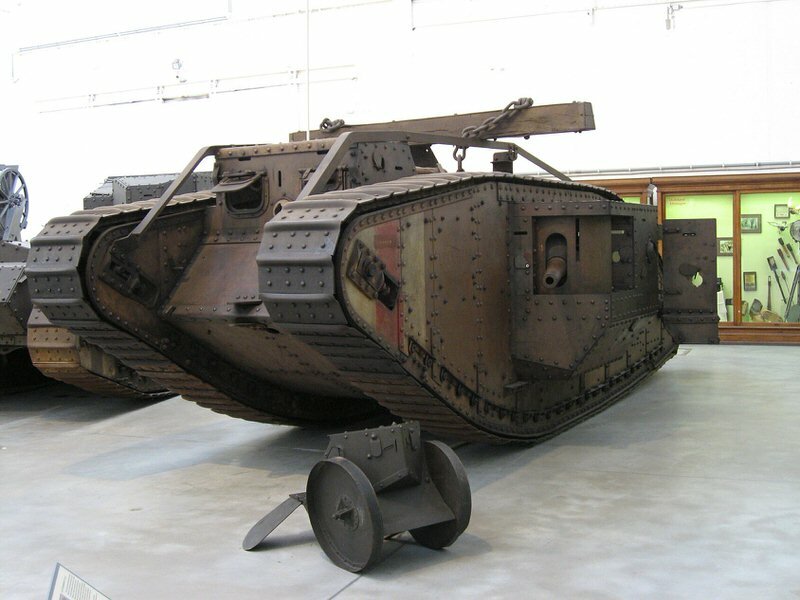 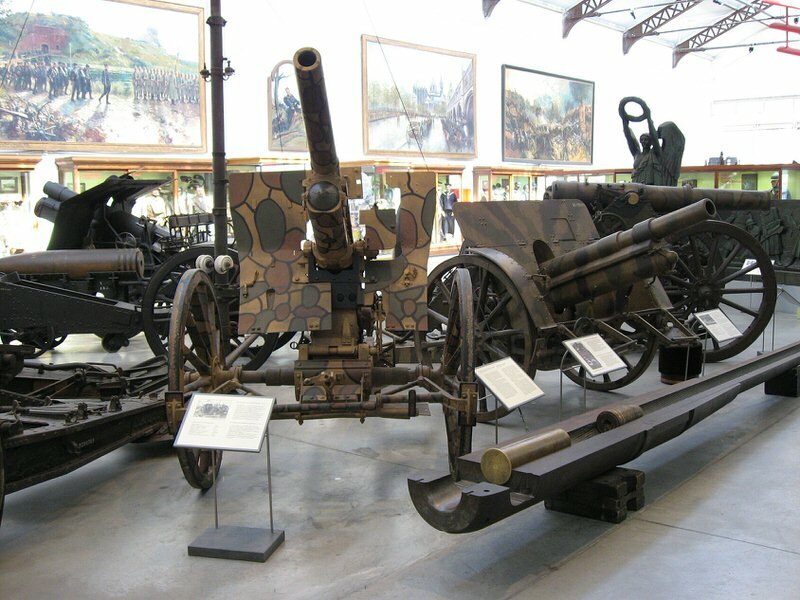 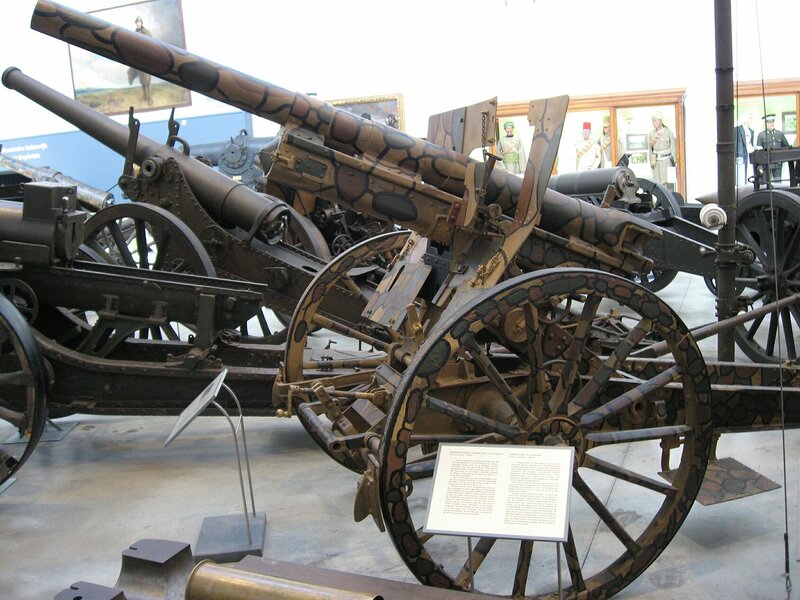 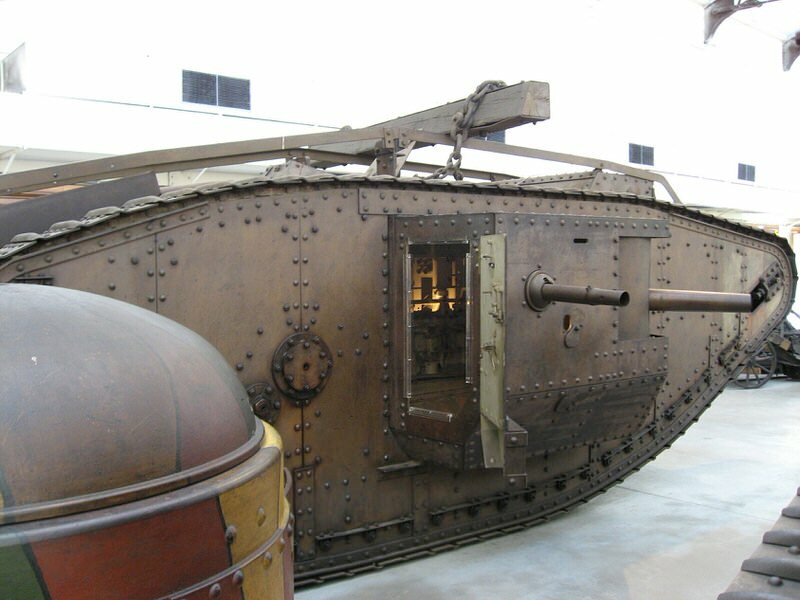 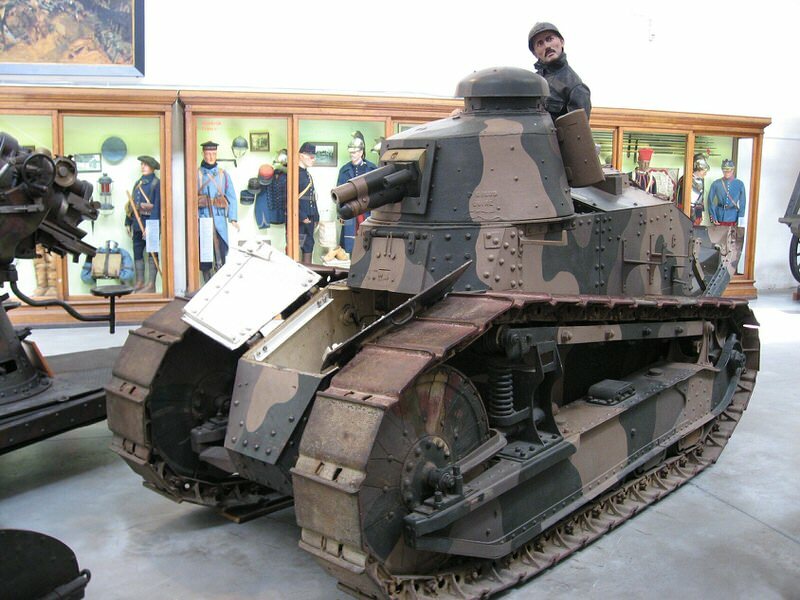 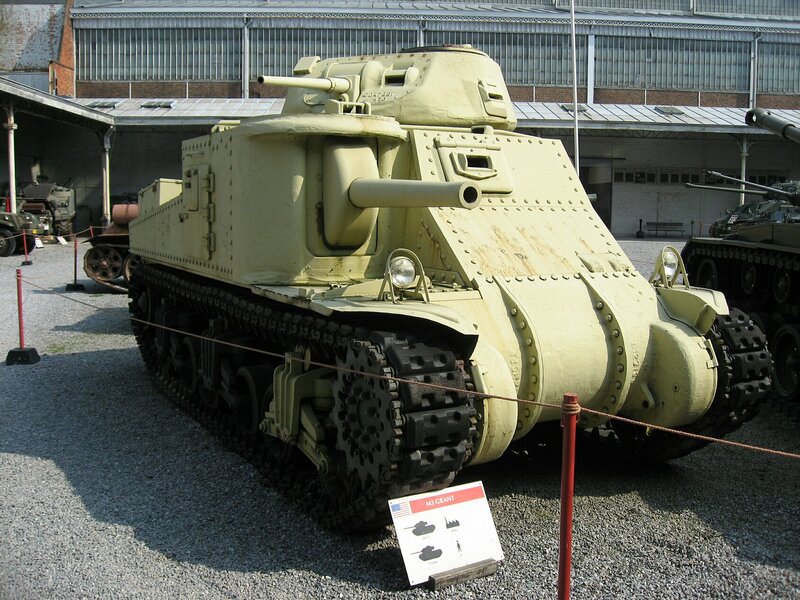 The most historic piece is a 1917 Mark IV ( displayed in the WWI section) tank with its orig­inal paintwork.